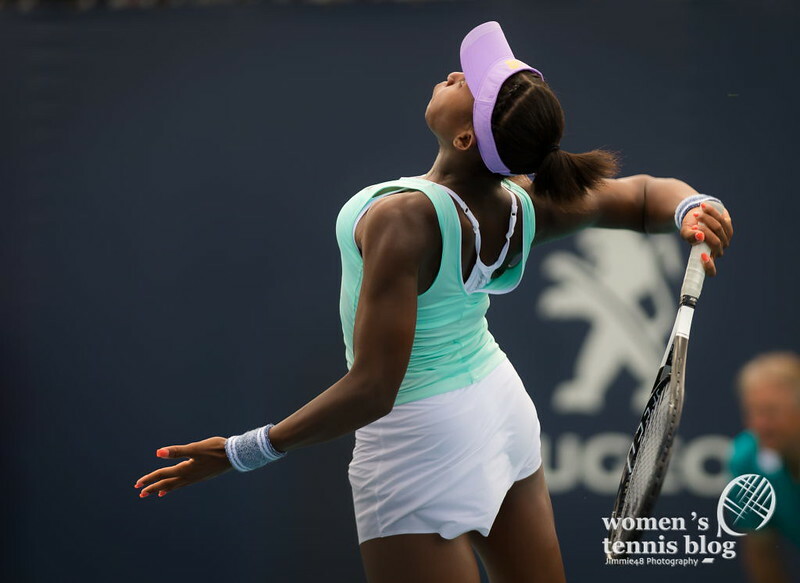 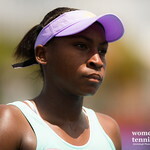 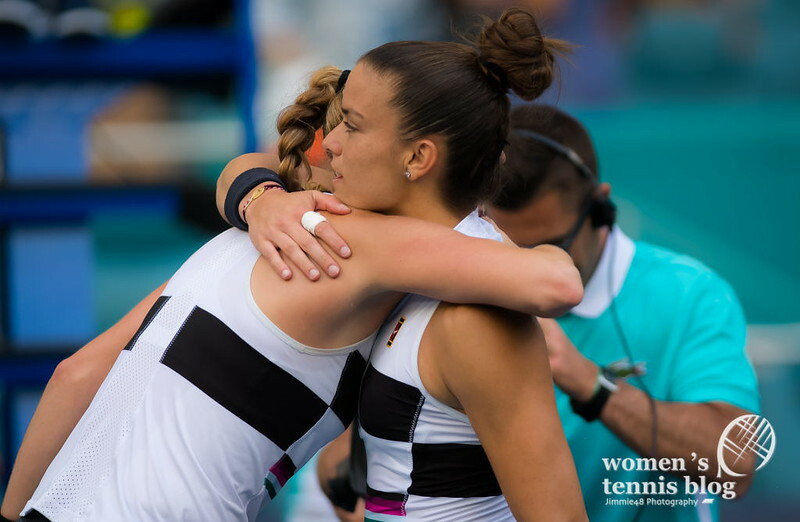 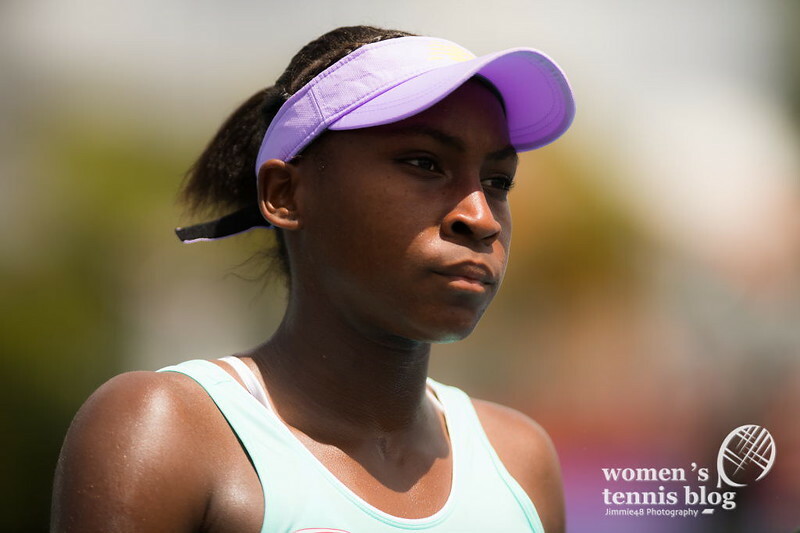 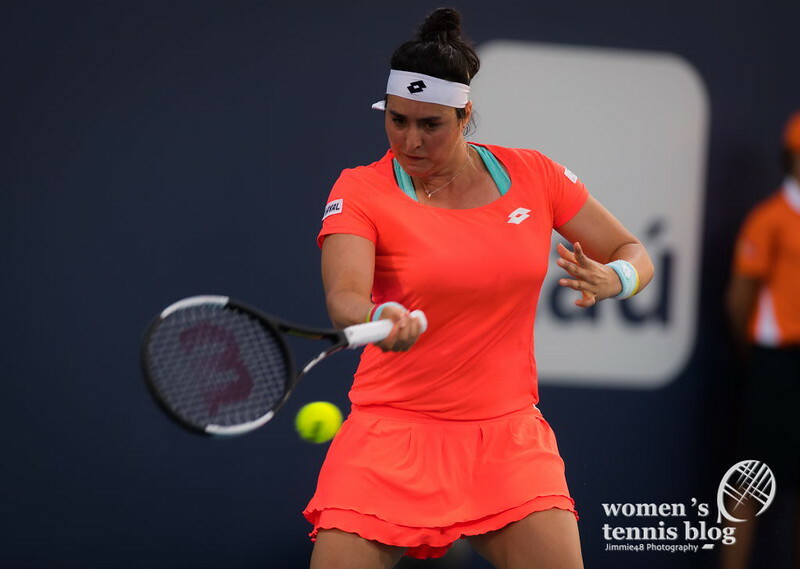 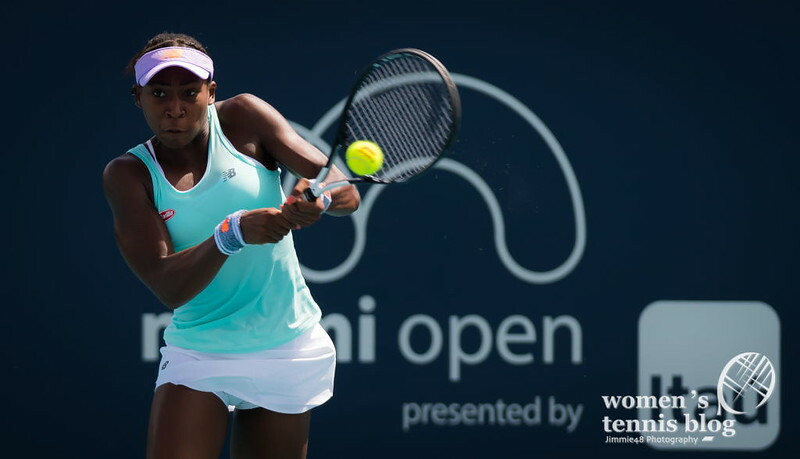 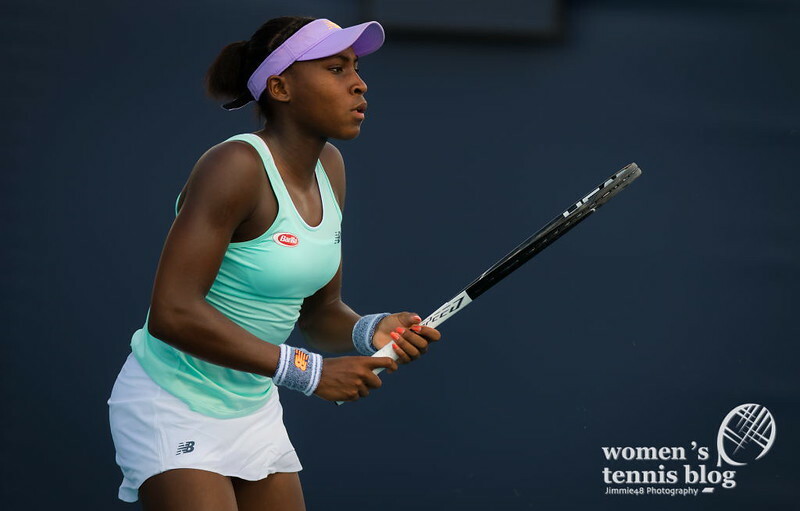 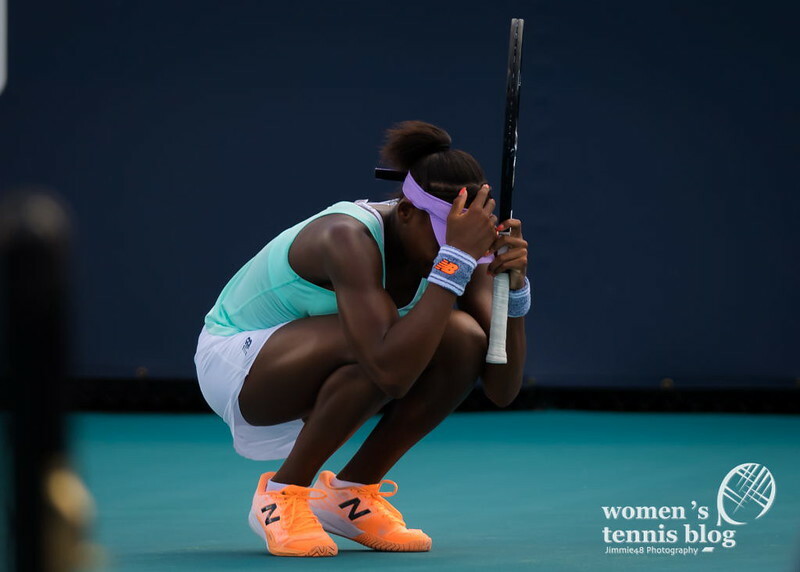 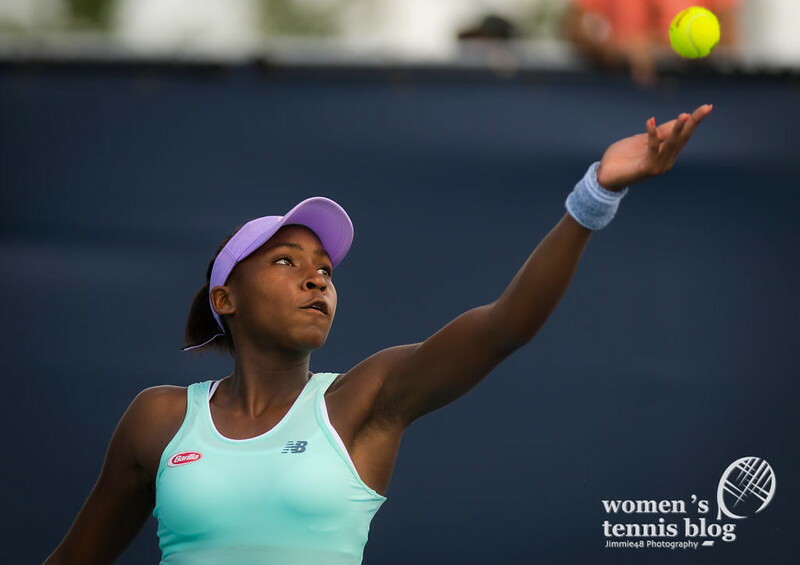 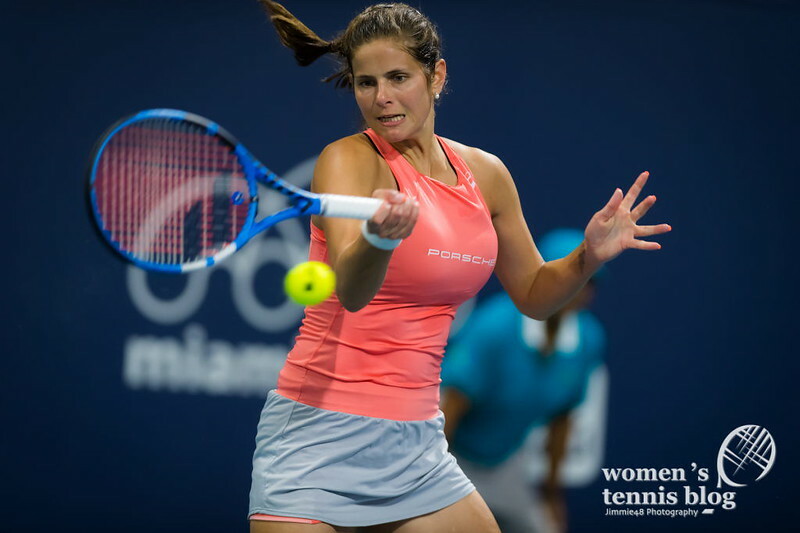 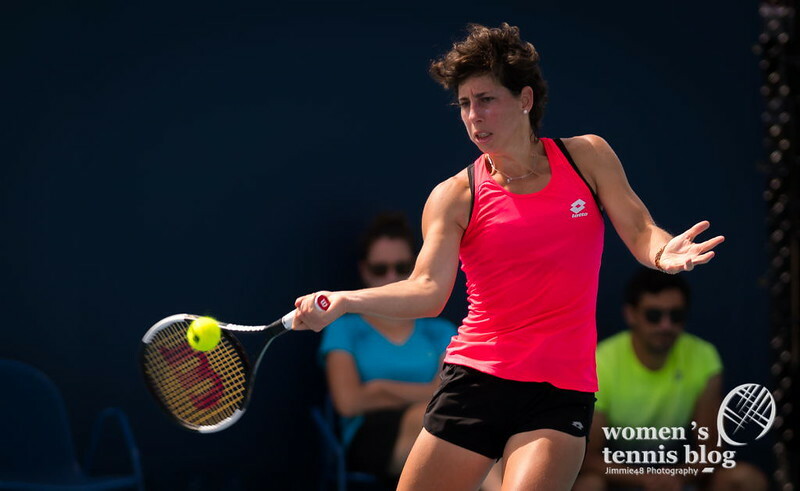 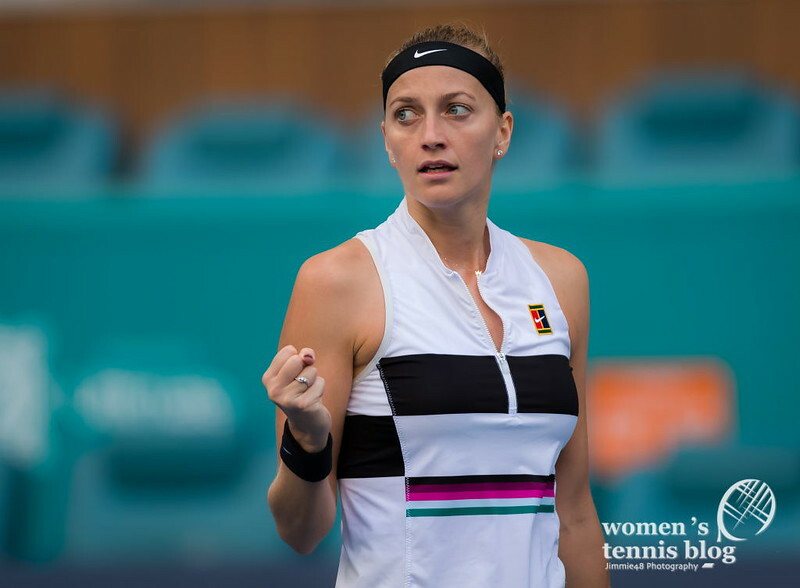 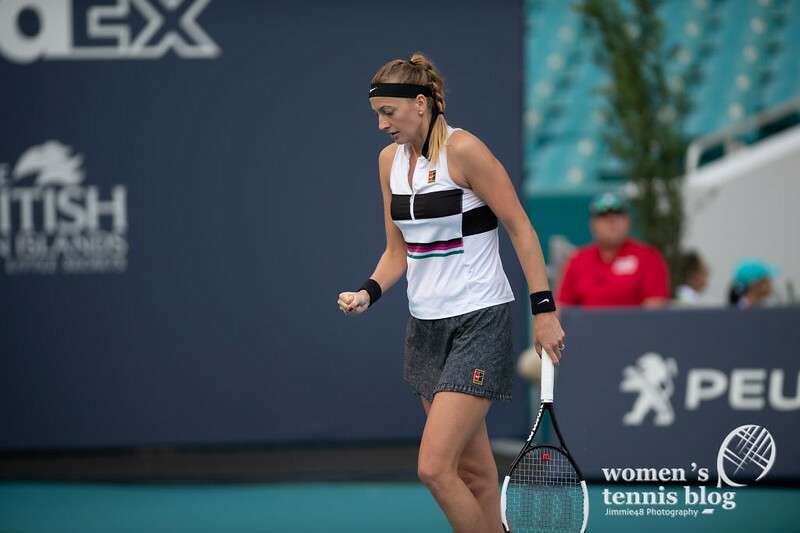 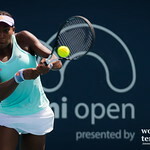 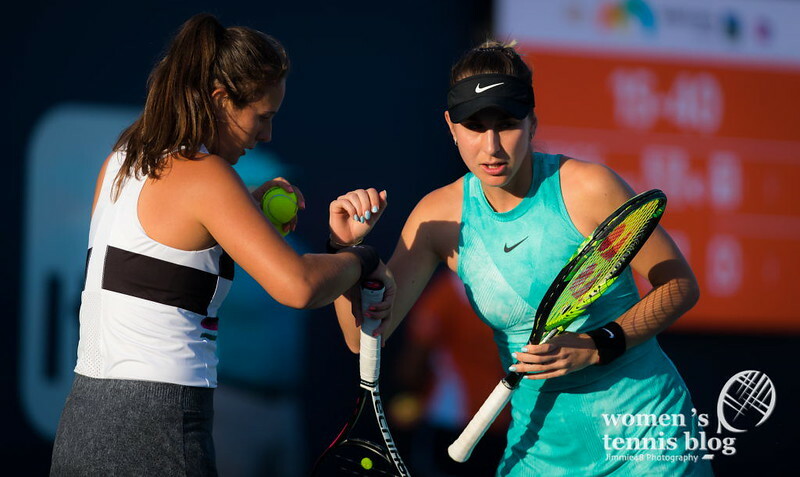 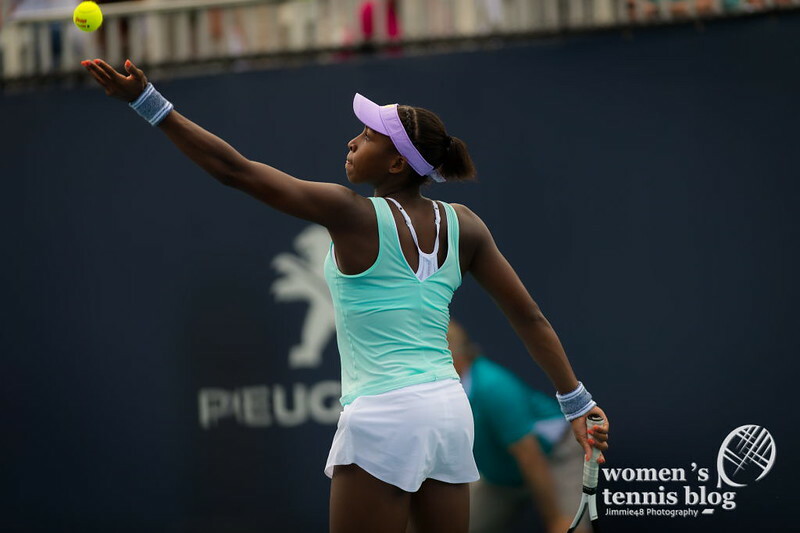 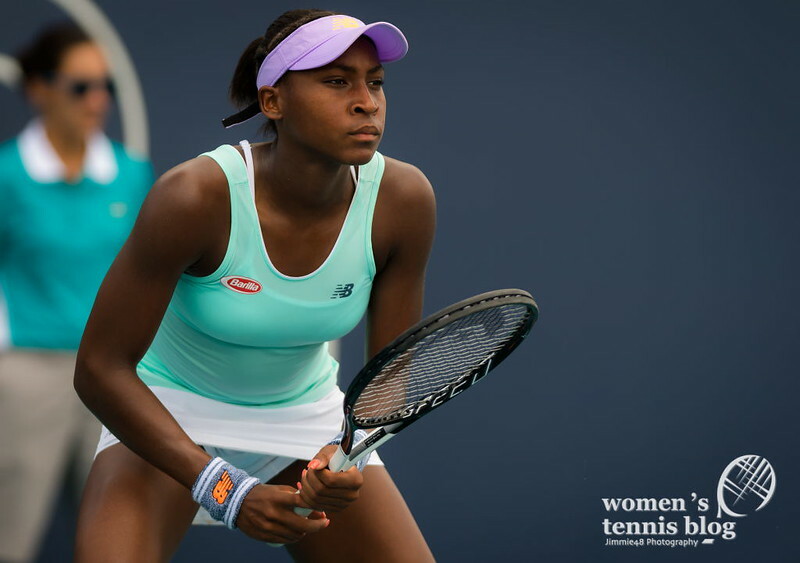 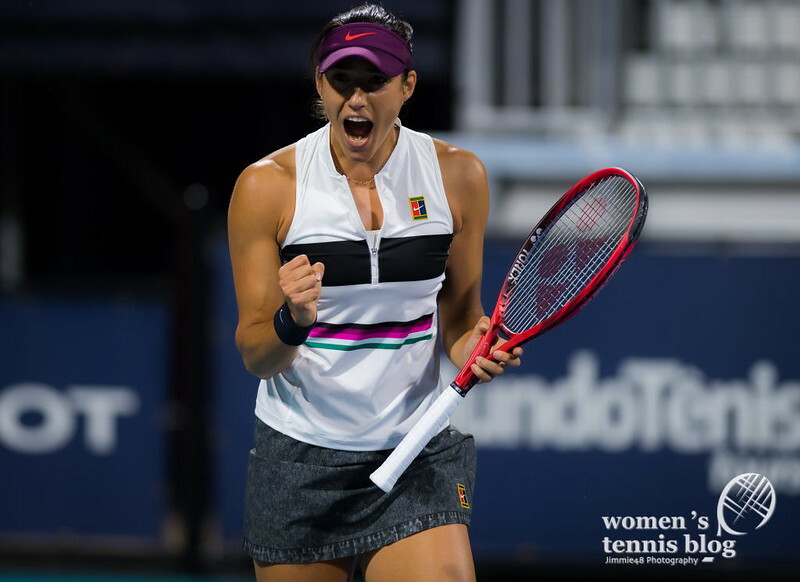 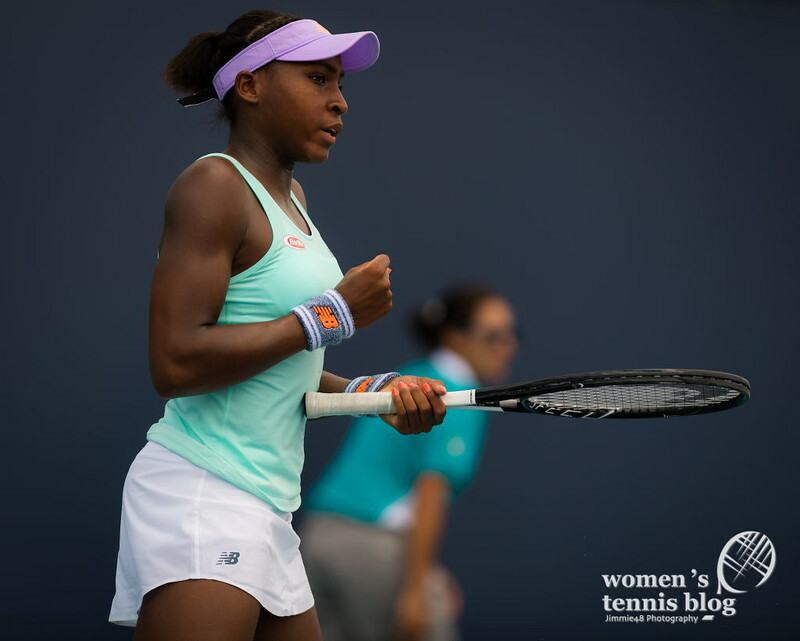 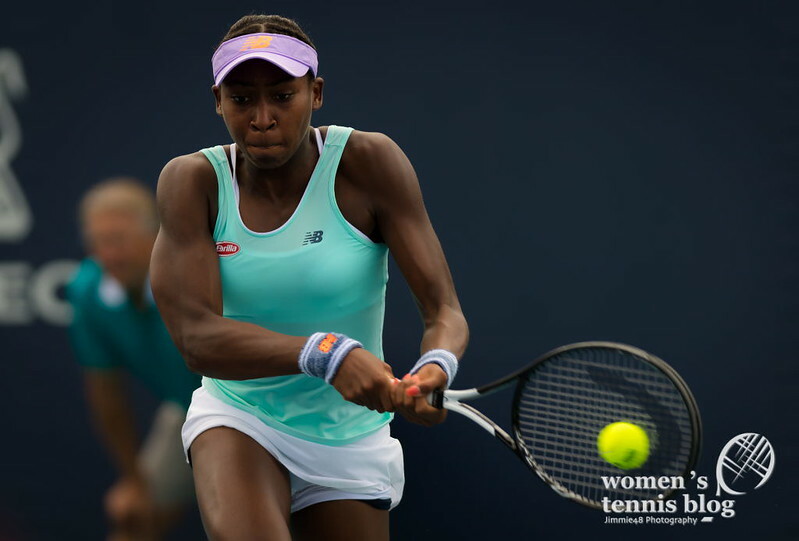 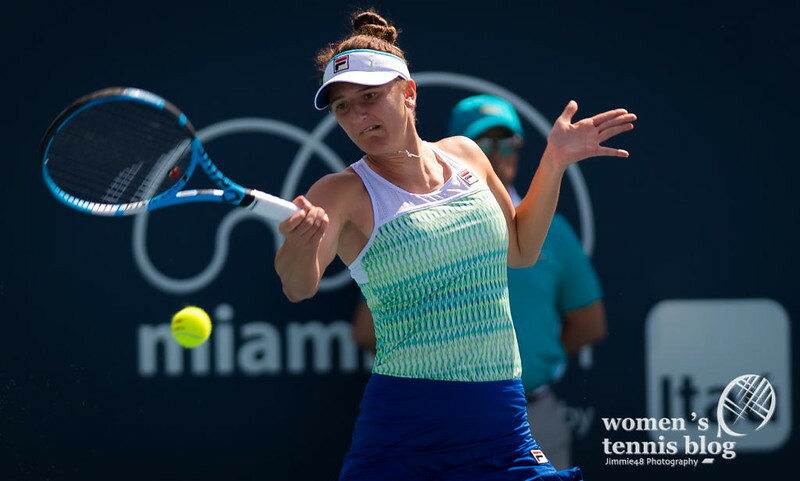 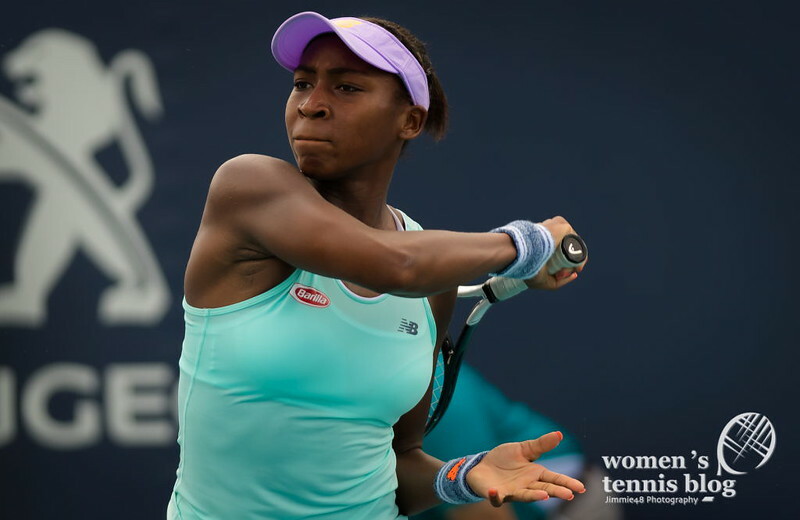 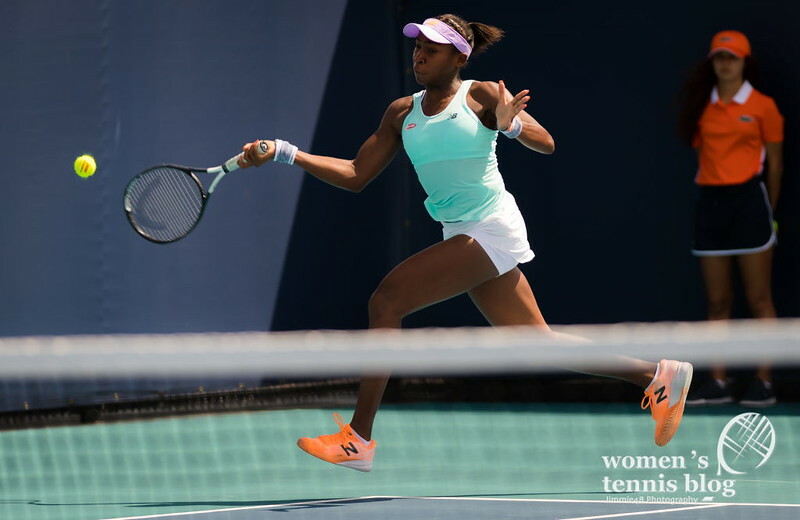 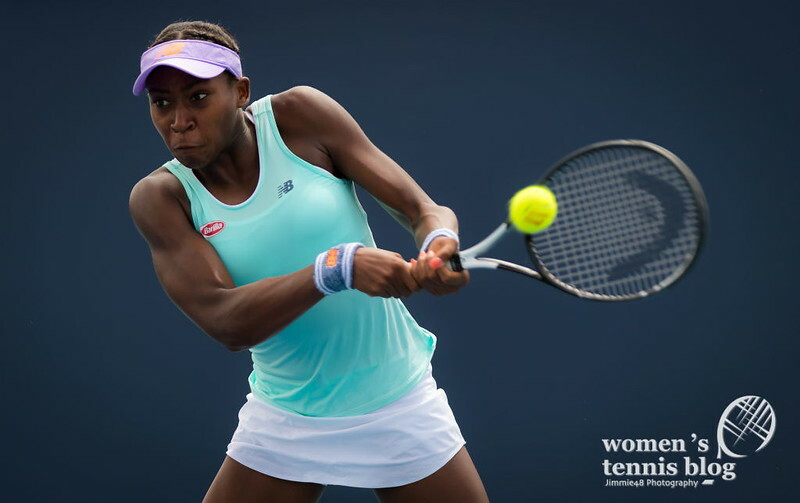 Thursday’s schedule at the Miami Open featured both first-round and second-round matches. 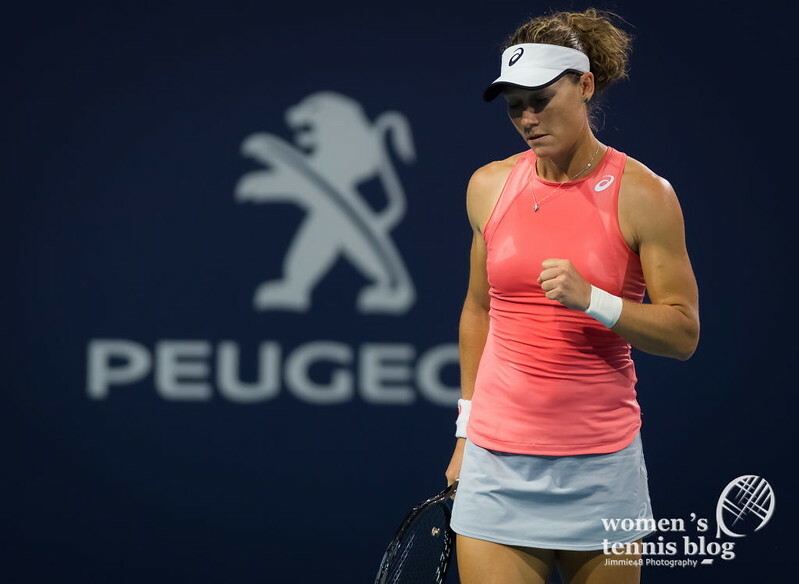 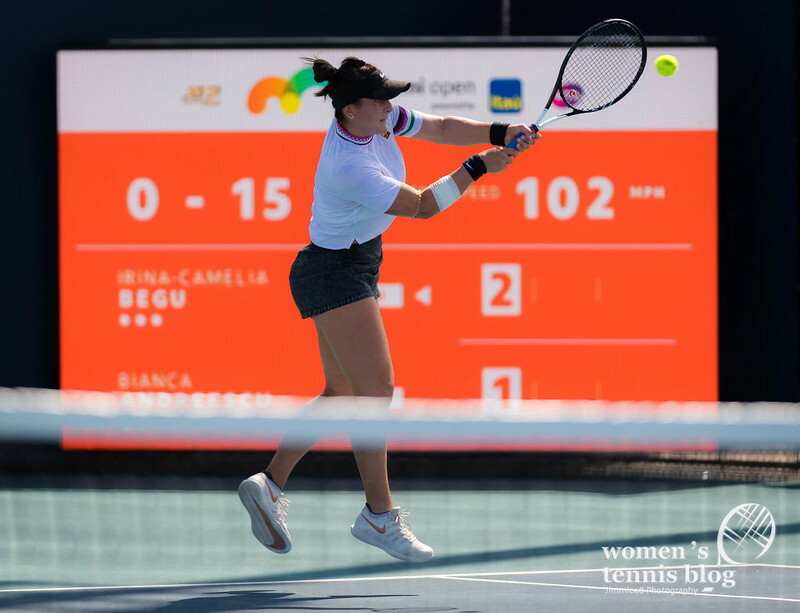 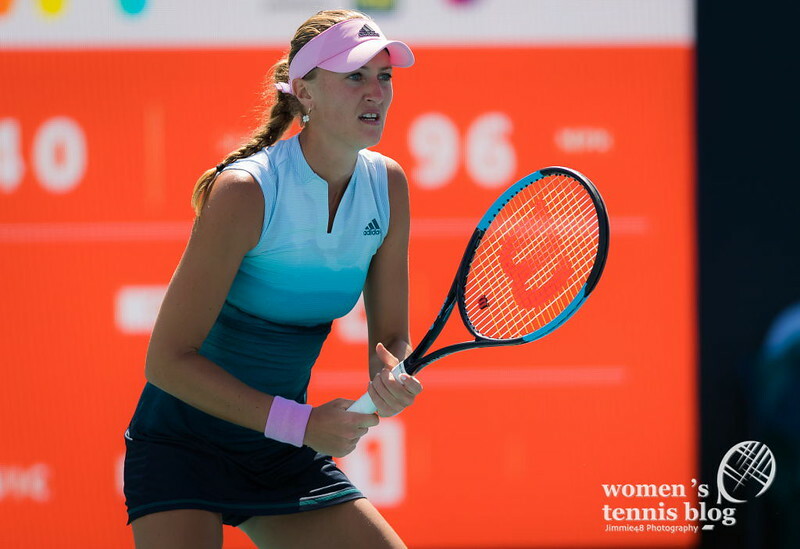 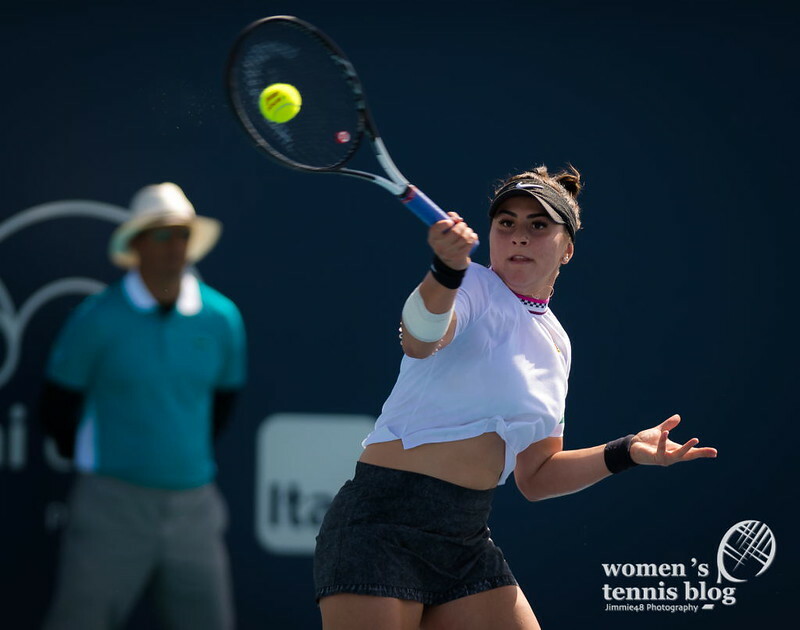 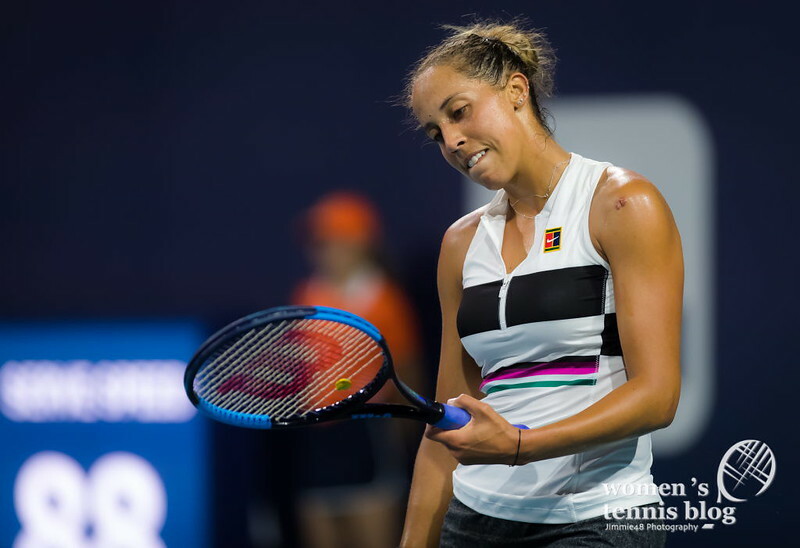 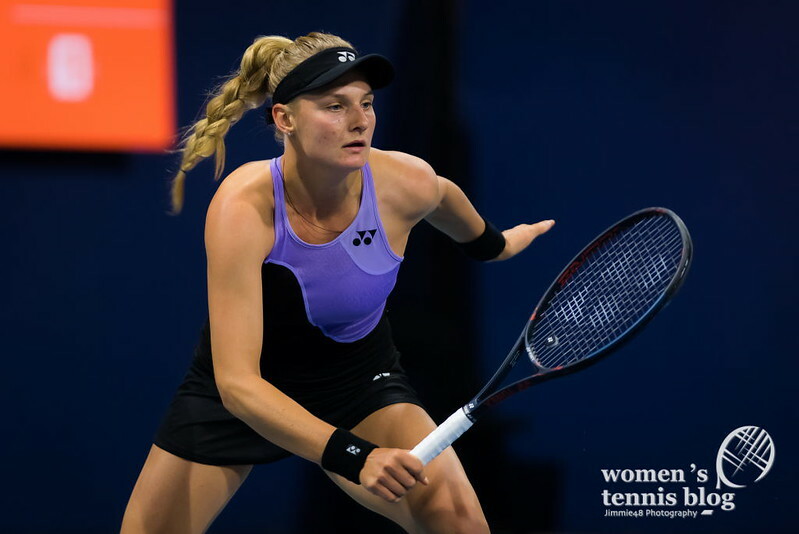 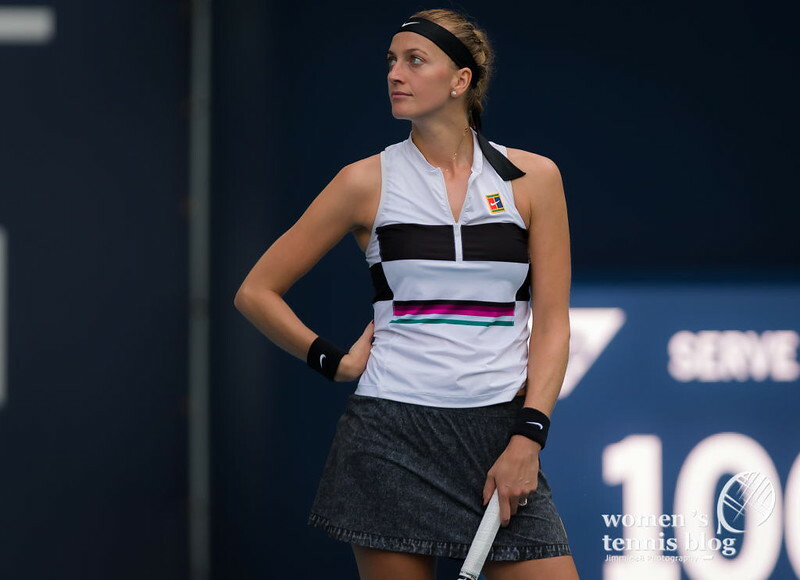 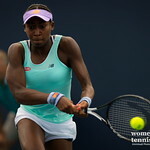 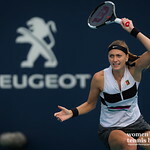 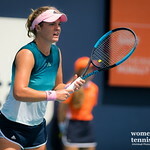 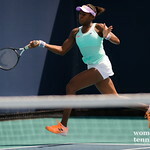 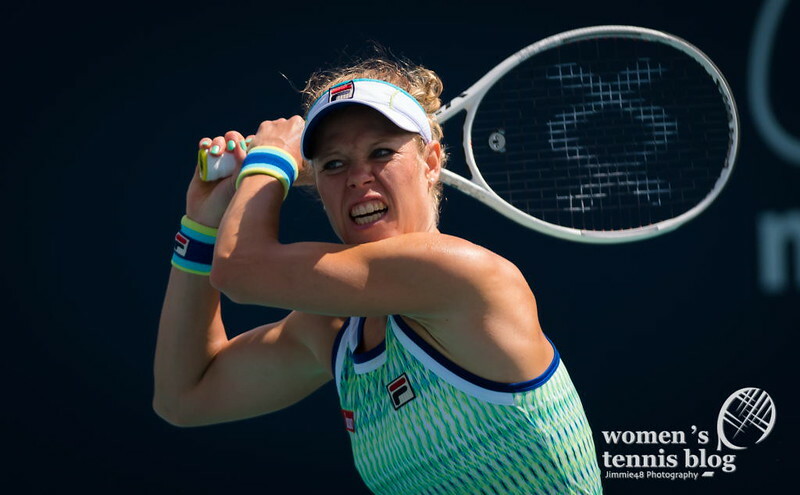 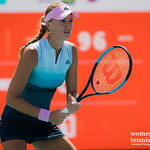 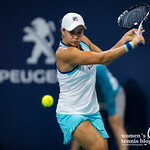 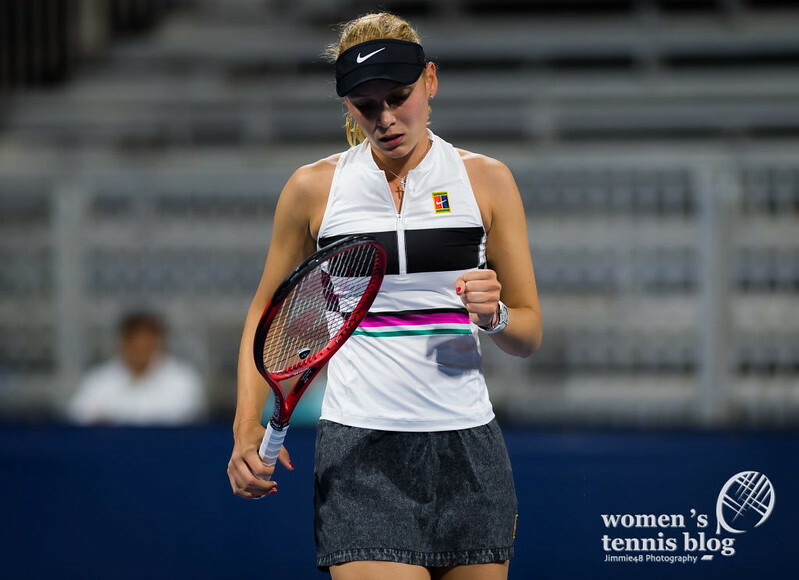 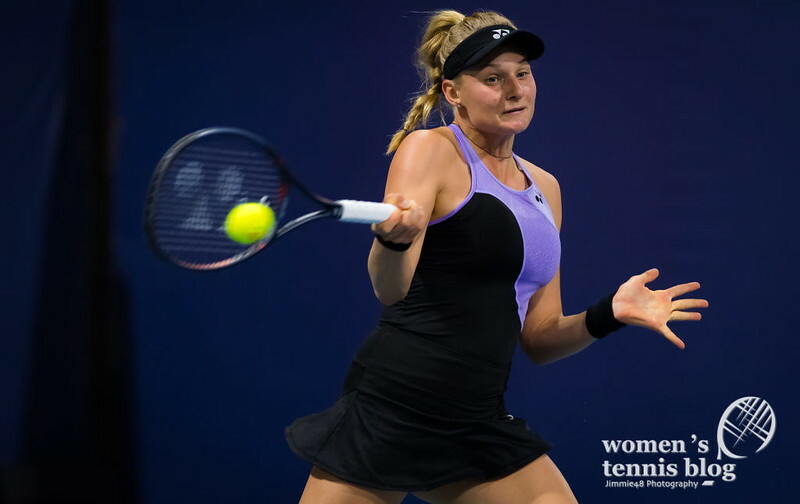 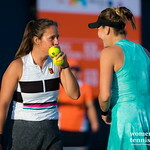 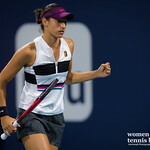 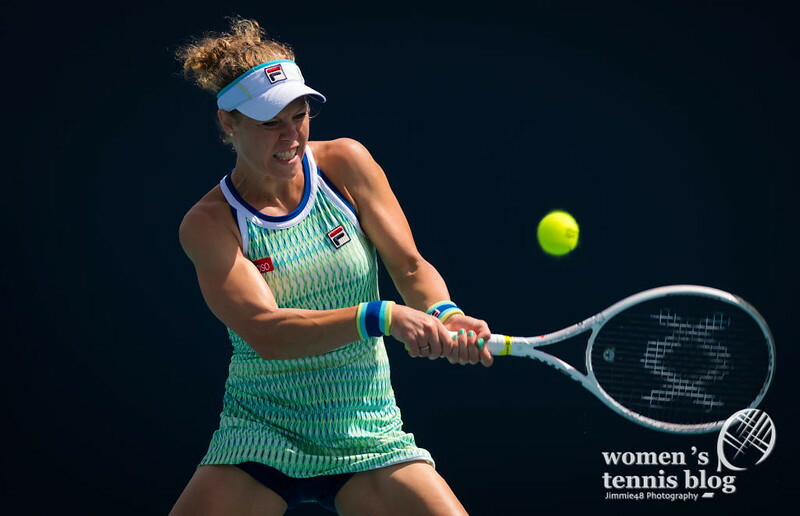 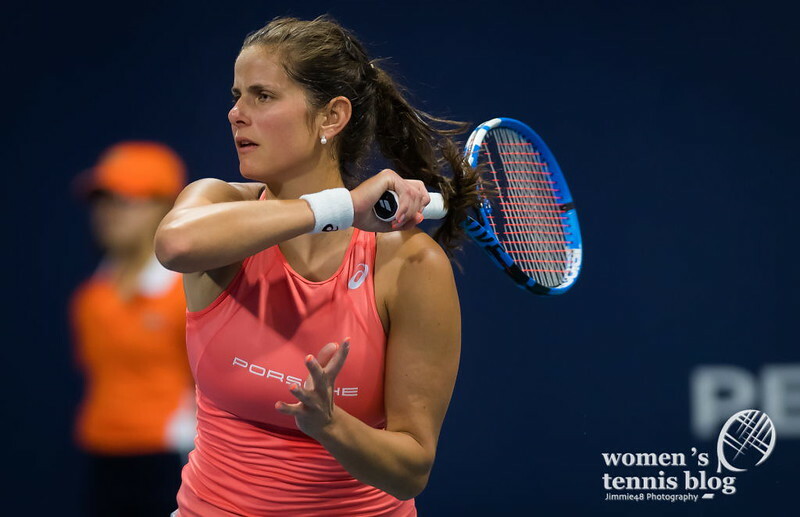 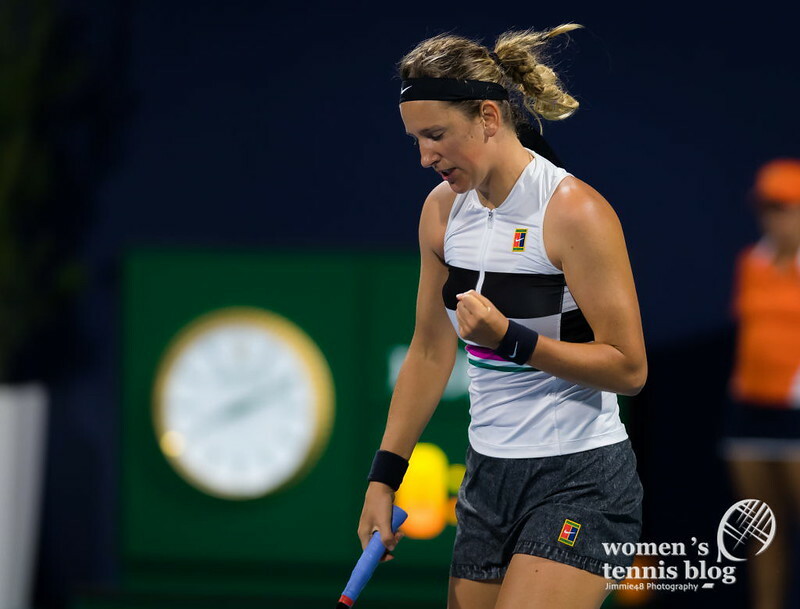 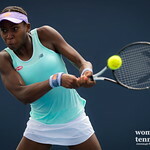 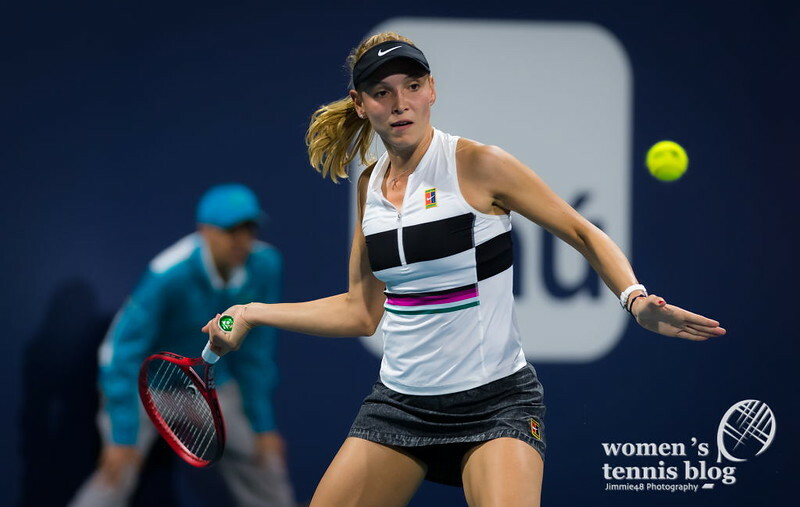 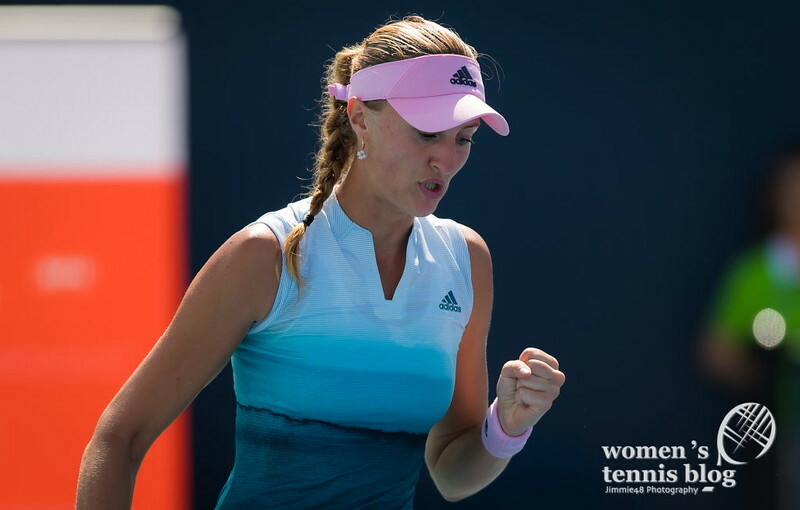 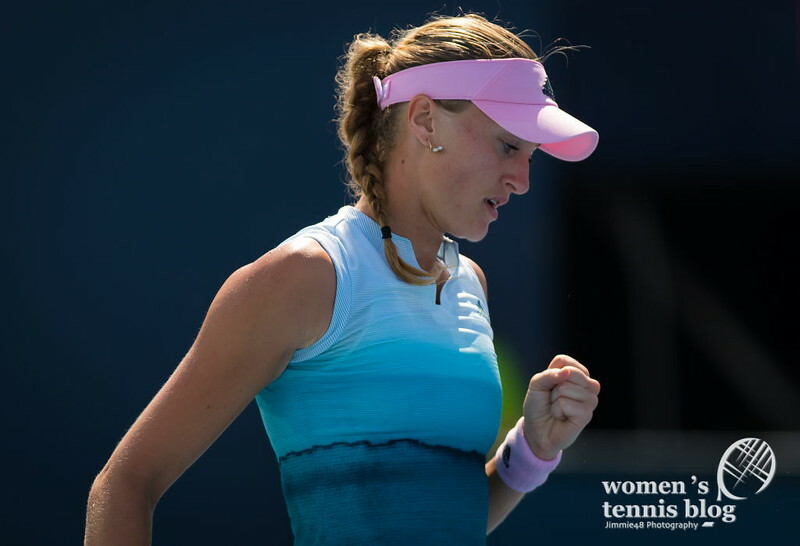 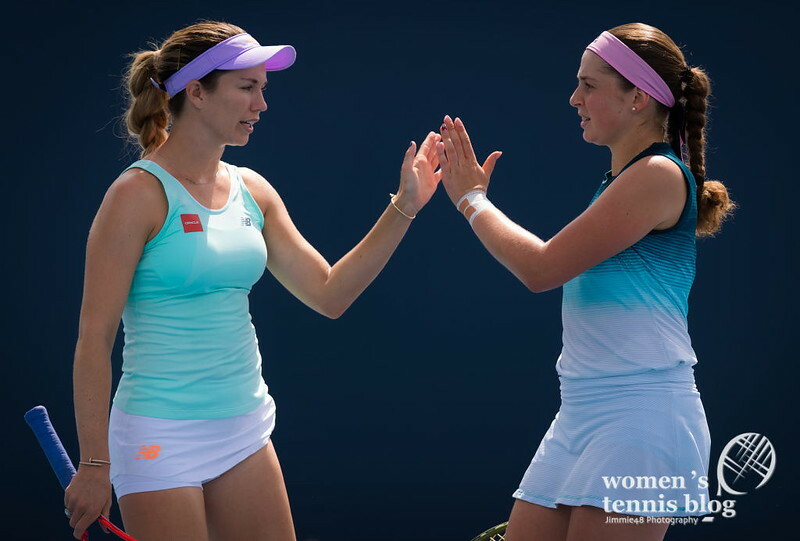 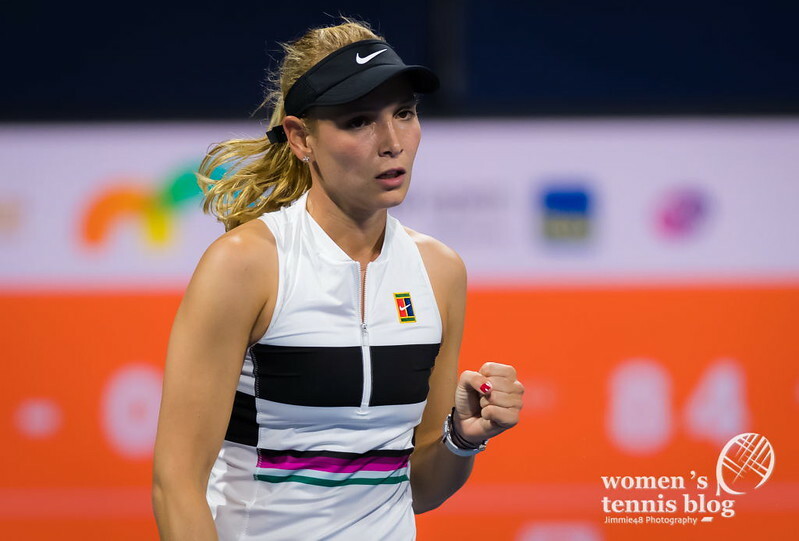 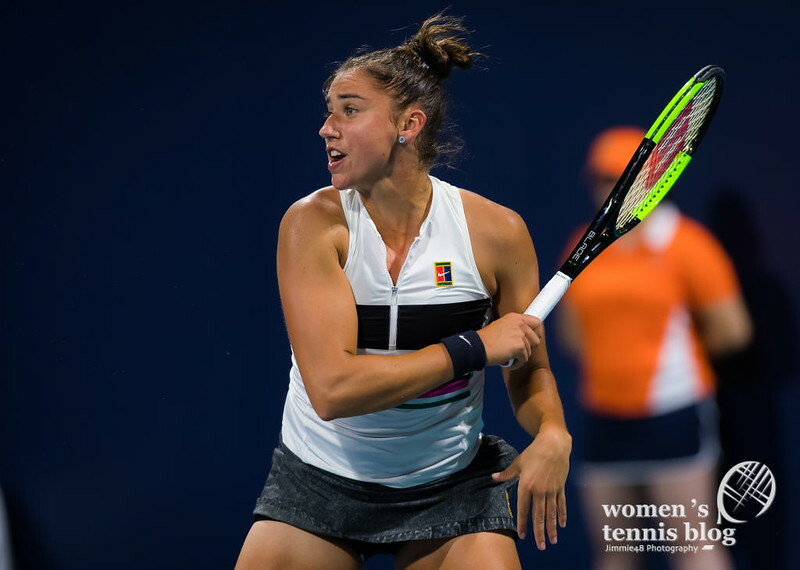 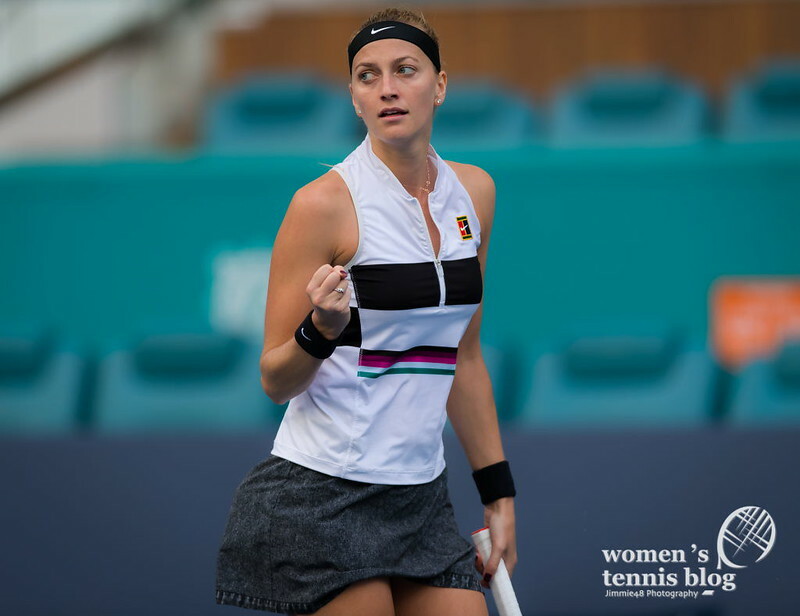 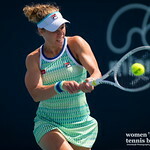 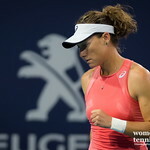 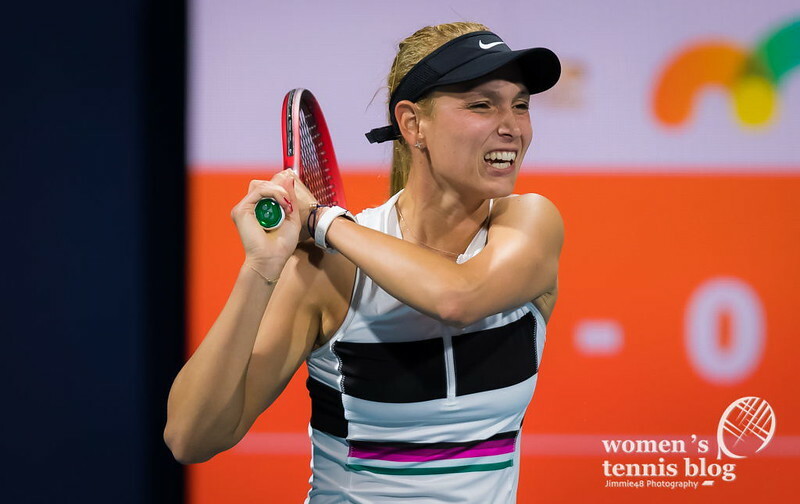 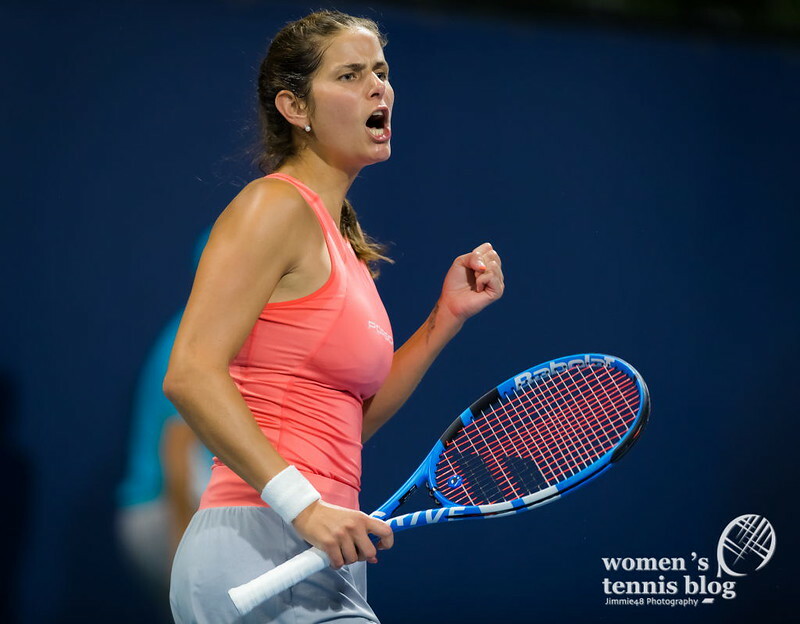 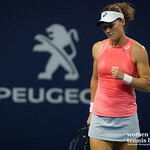 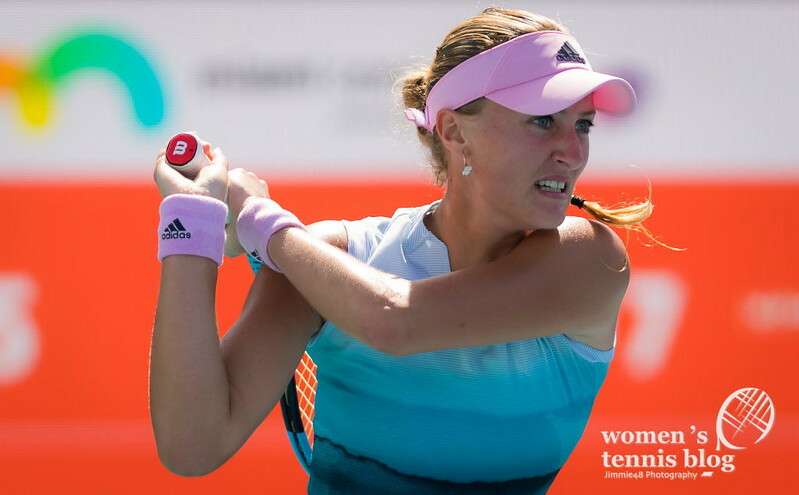 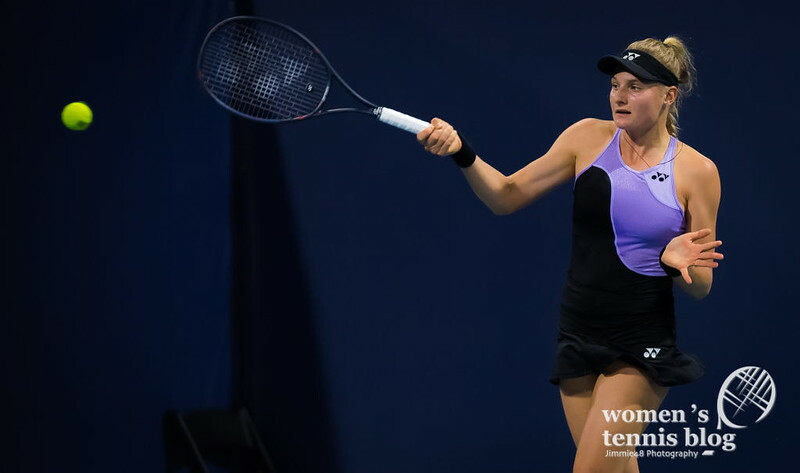 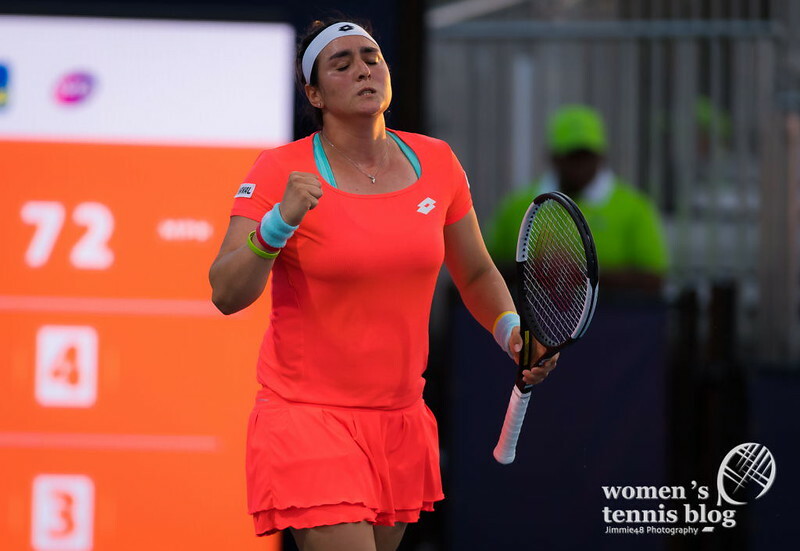 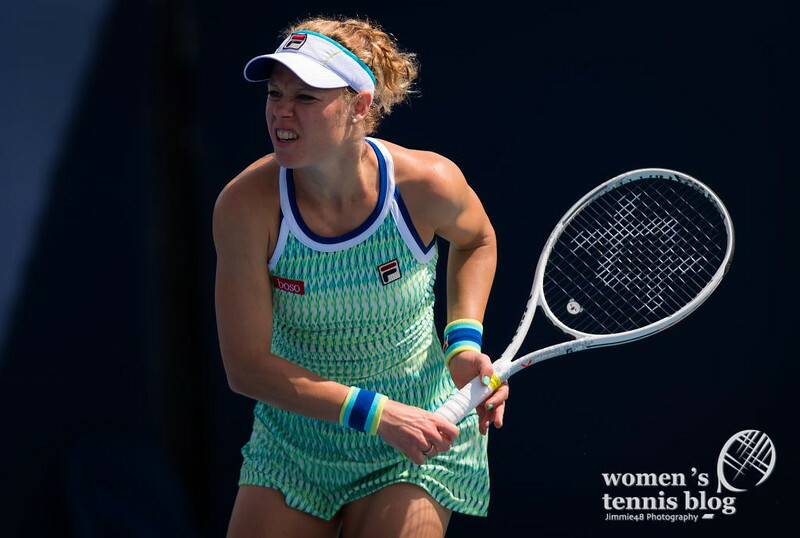 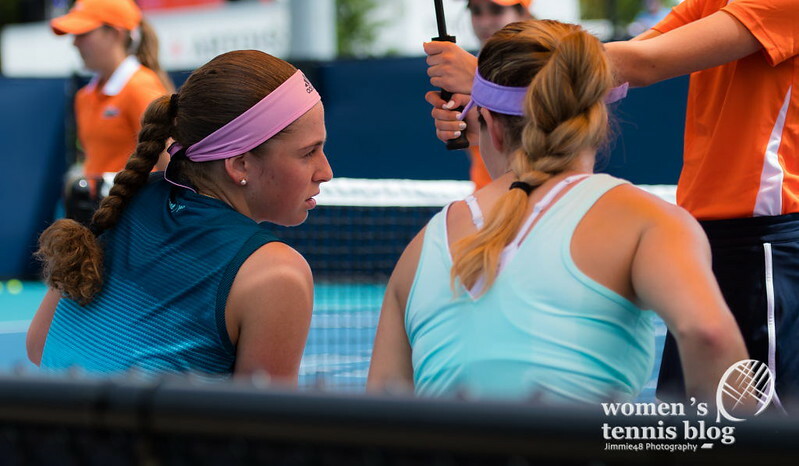 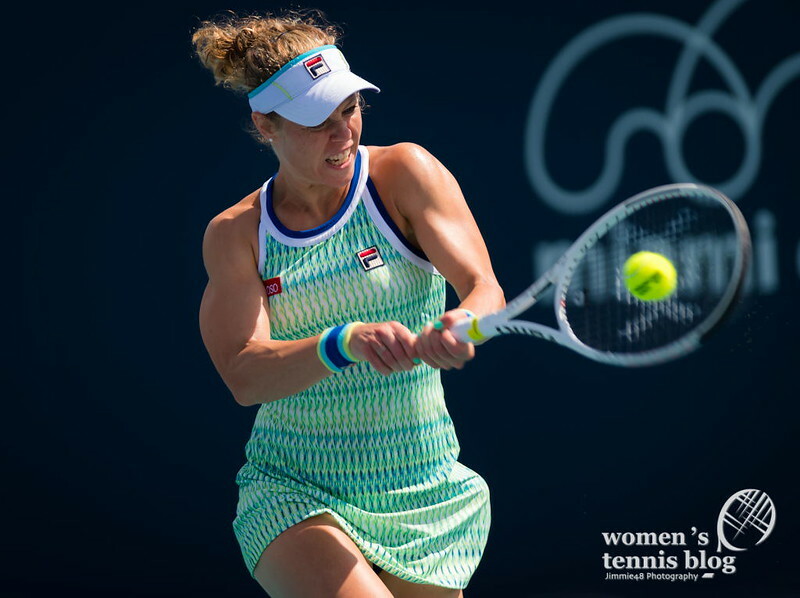 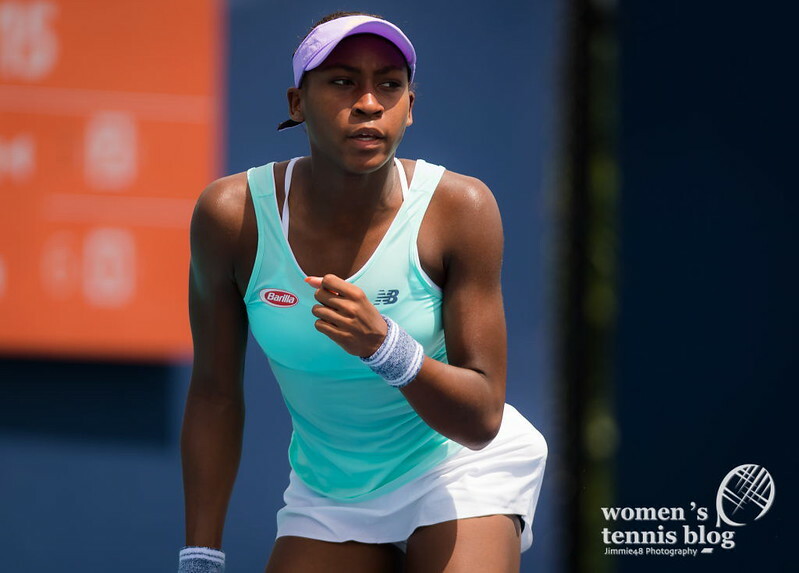 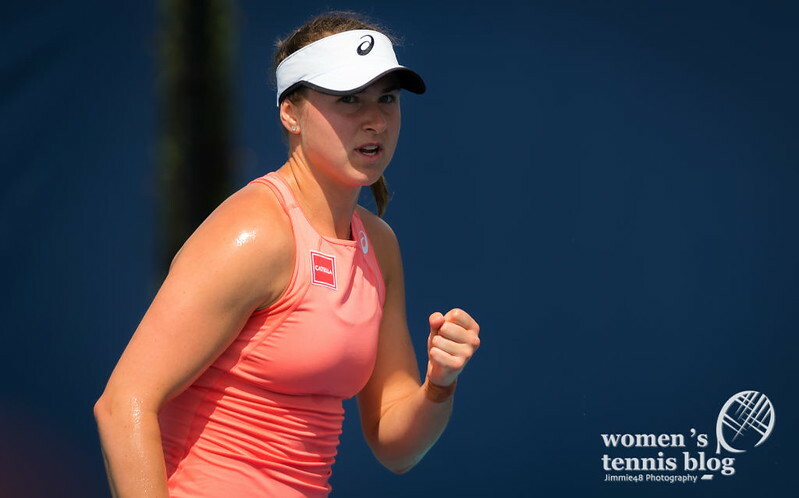 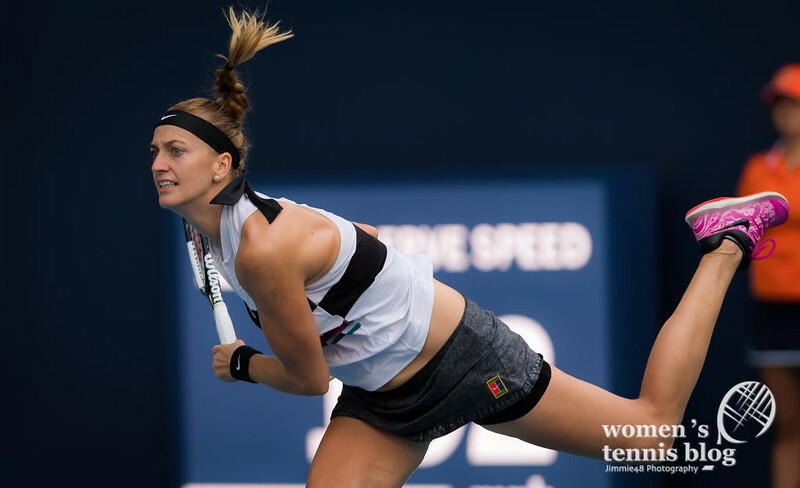 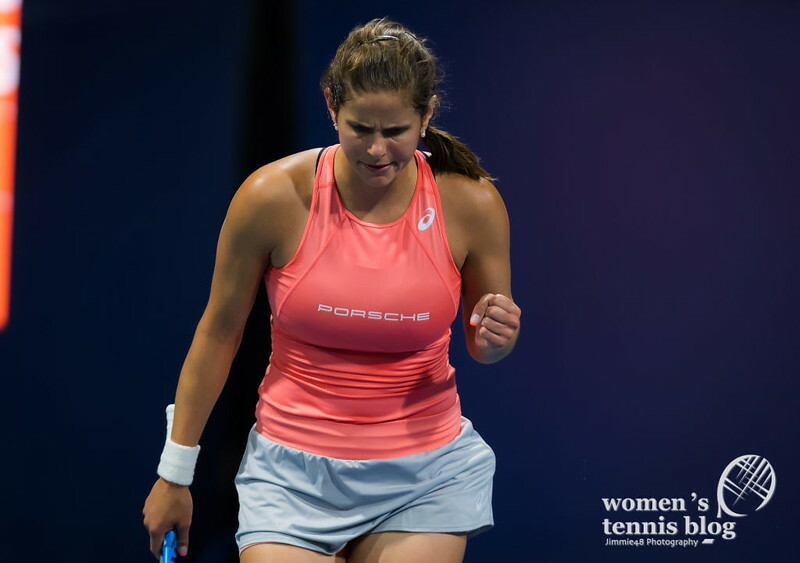 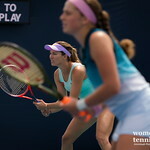 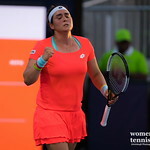 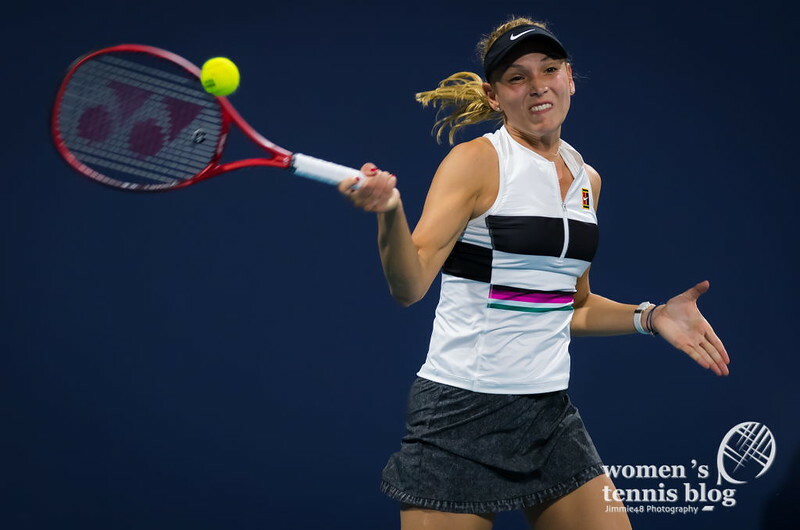 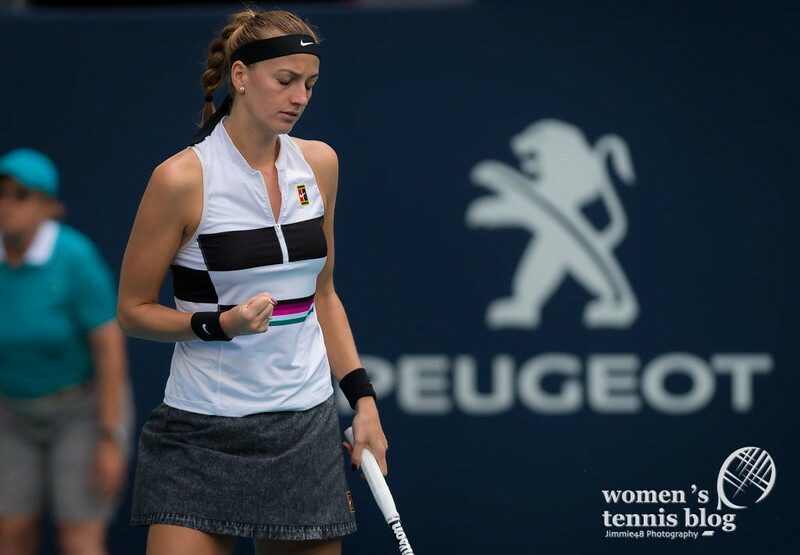 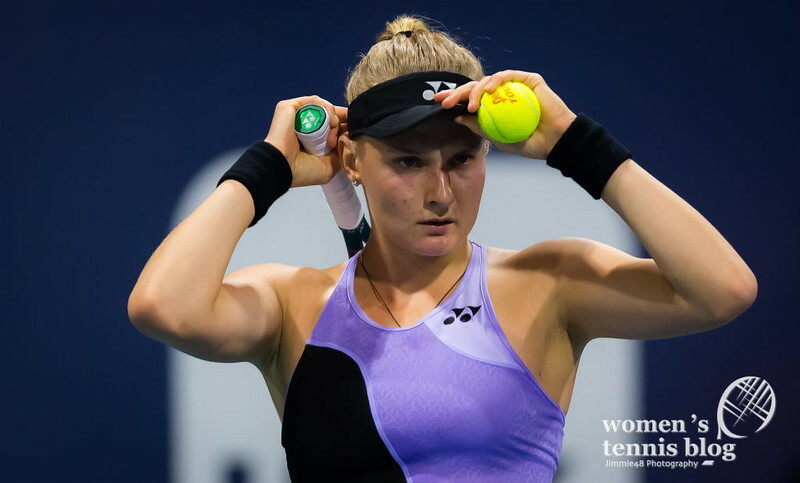 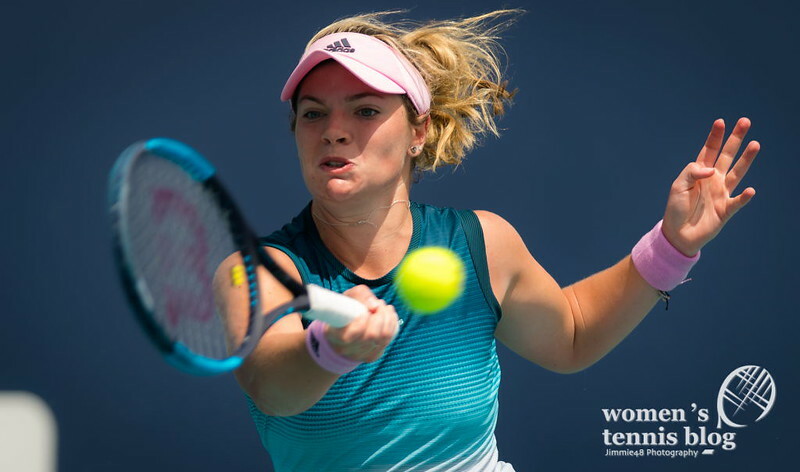 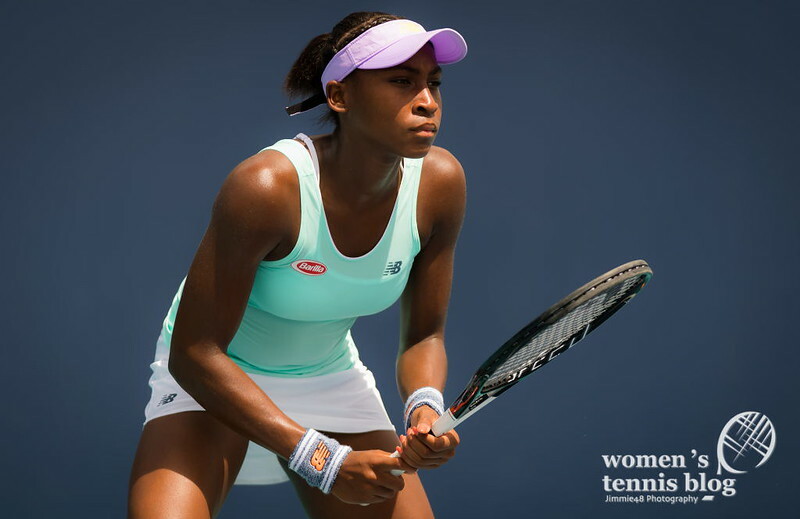 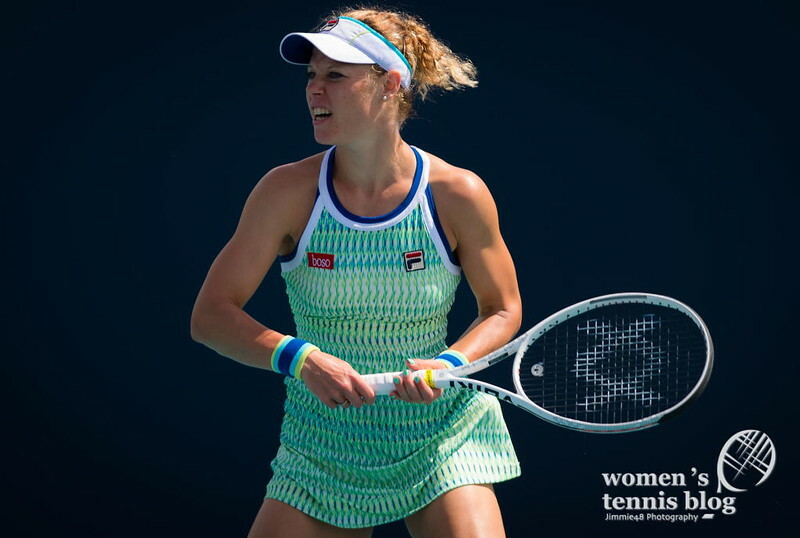 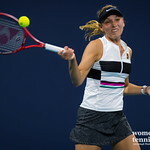 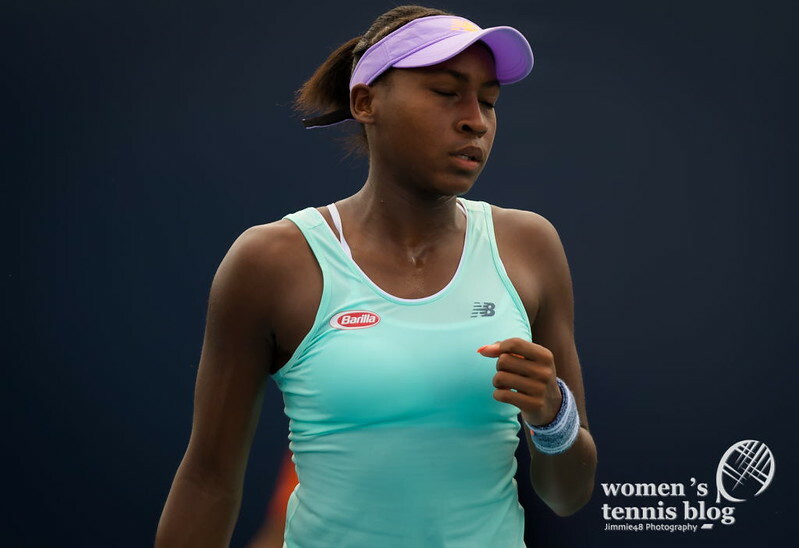 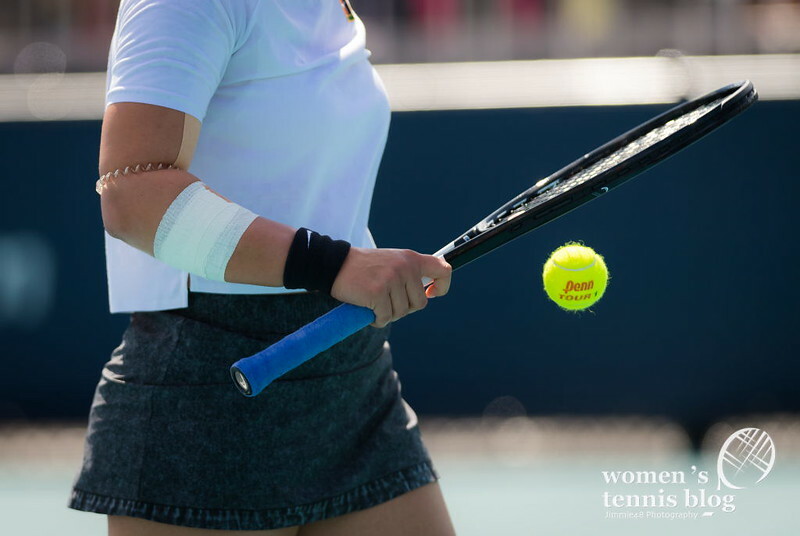 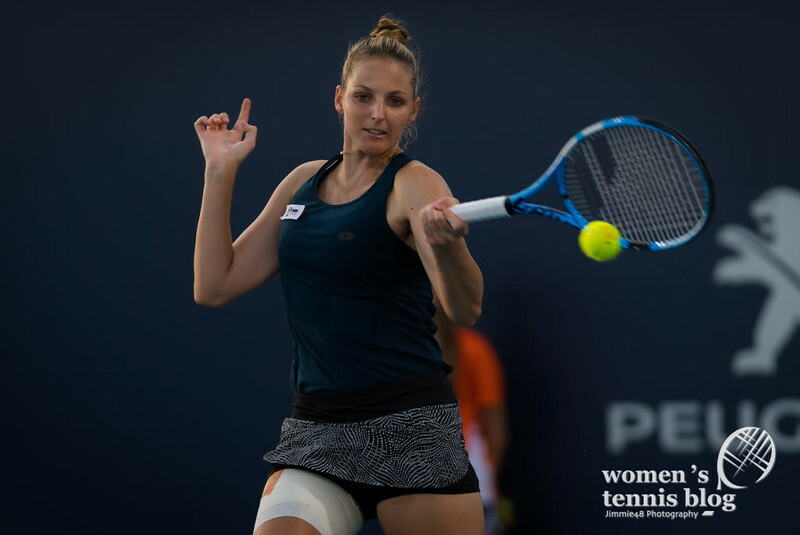 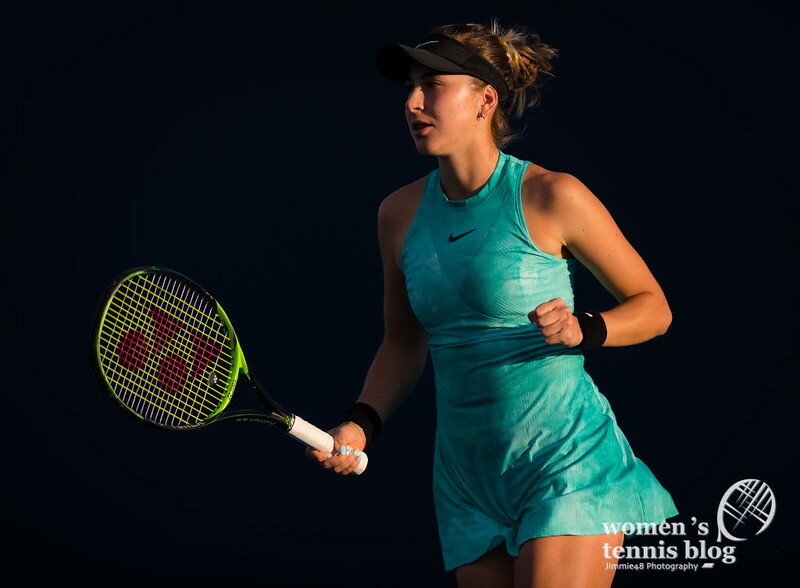 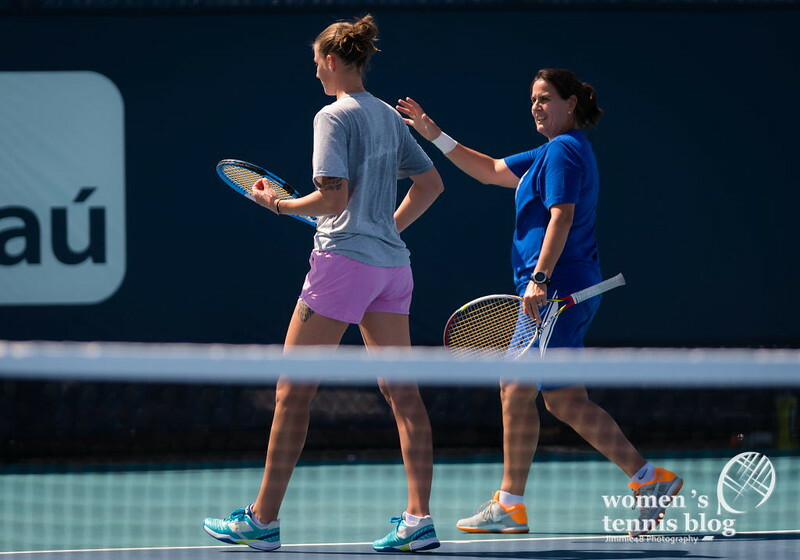 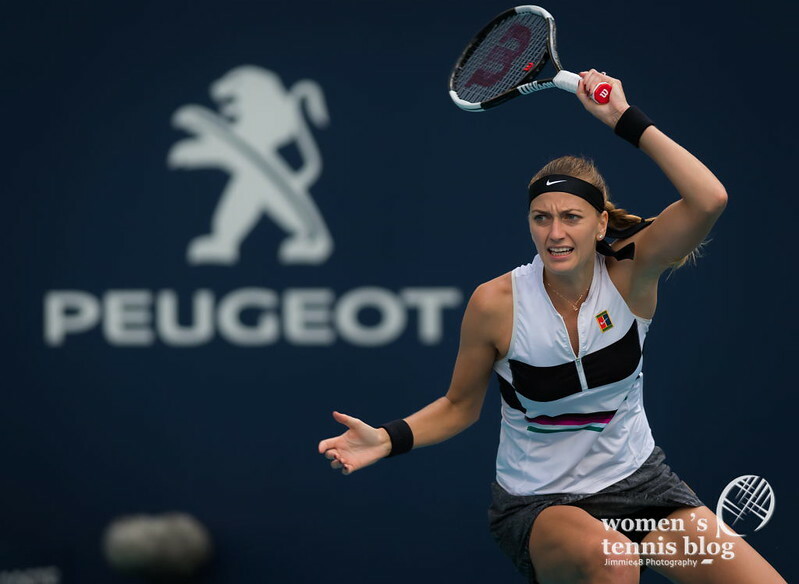 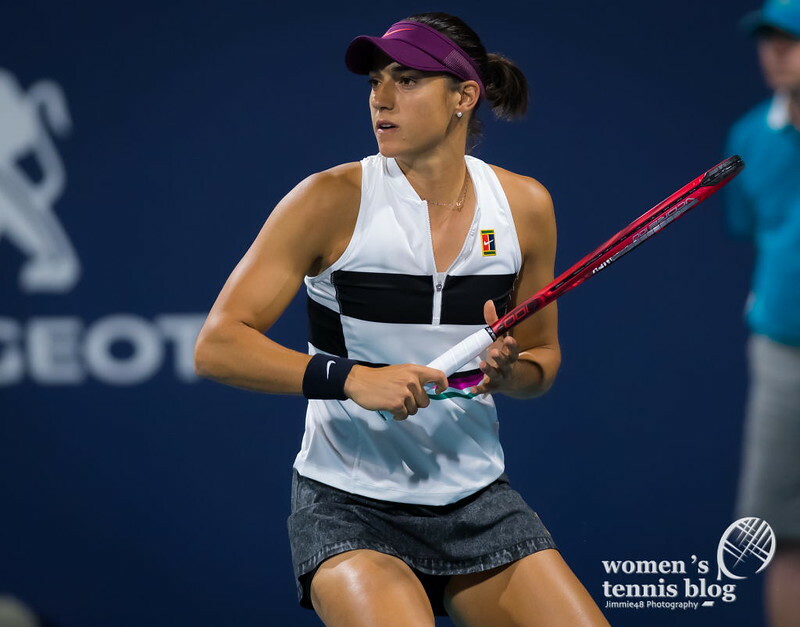 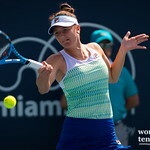 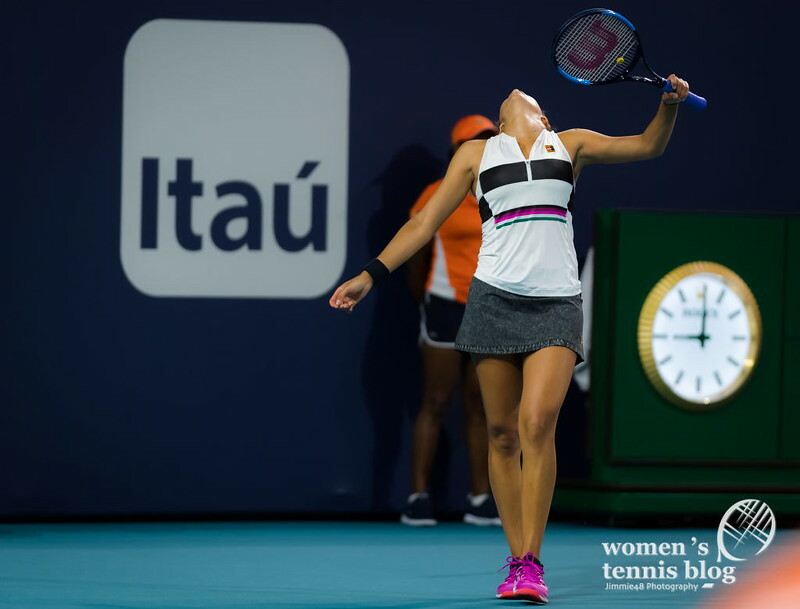 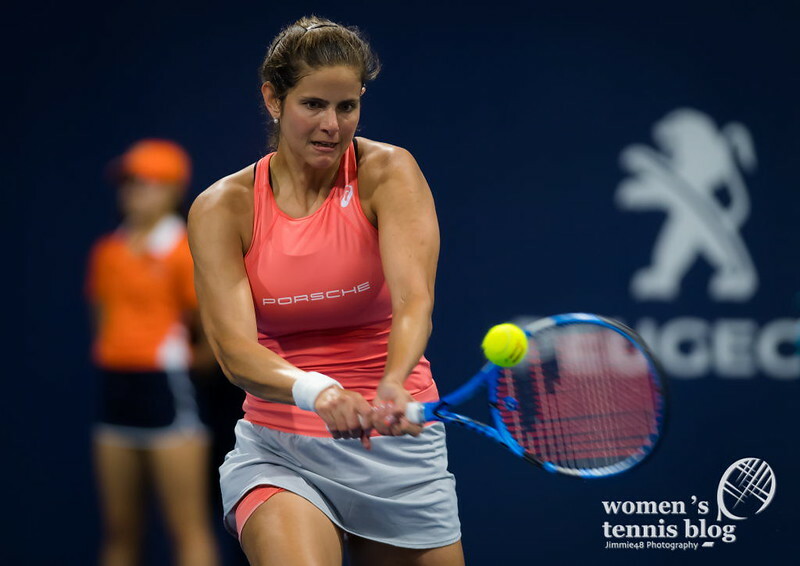 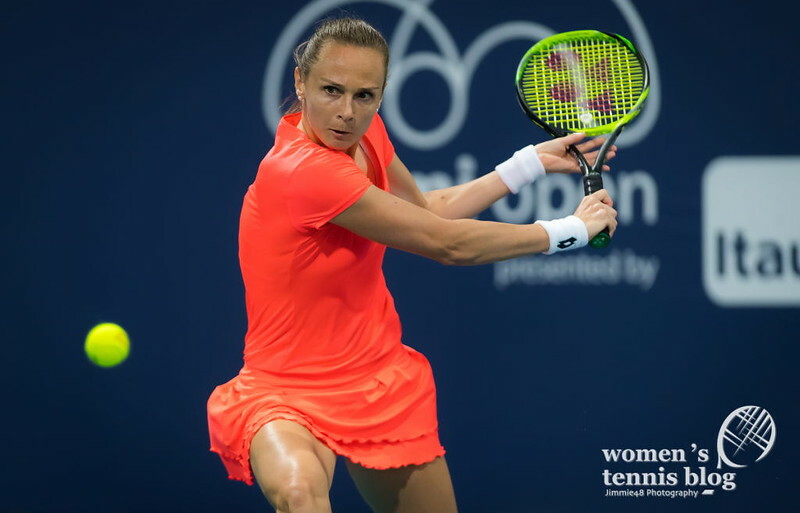 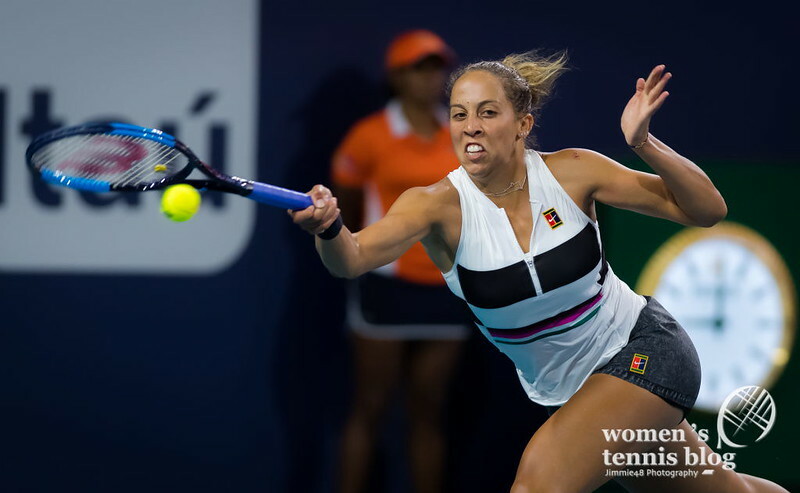 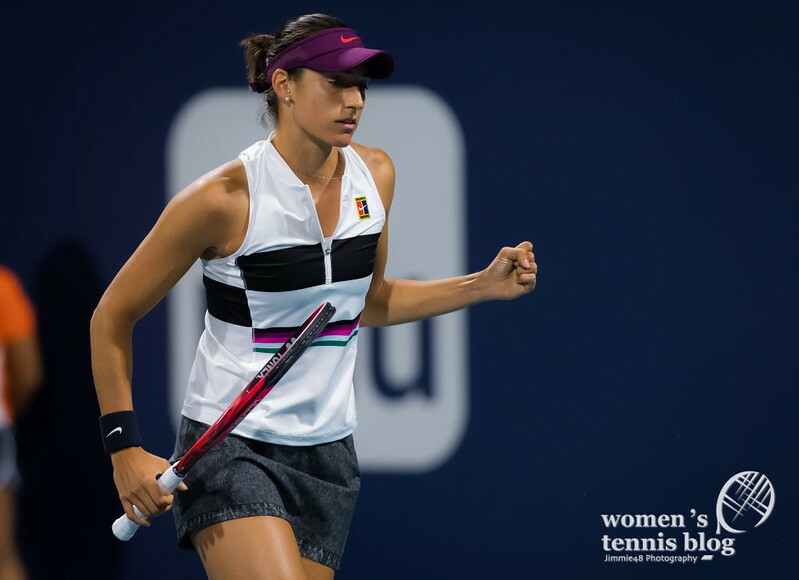 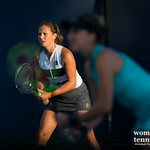 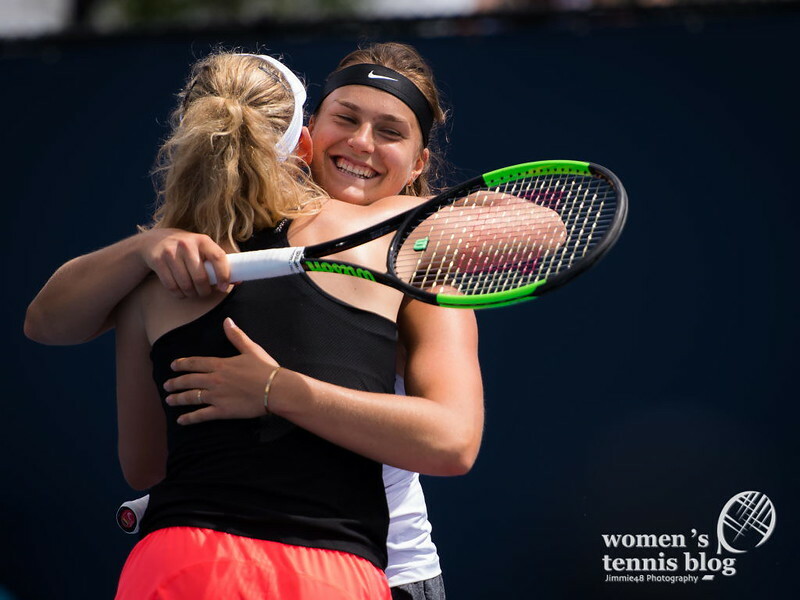 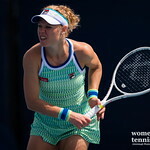 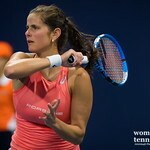 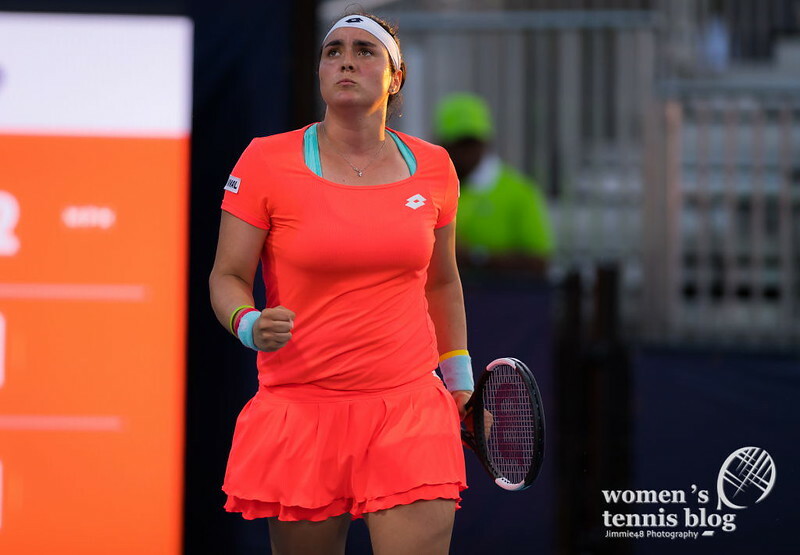 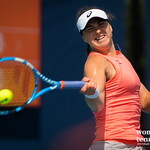 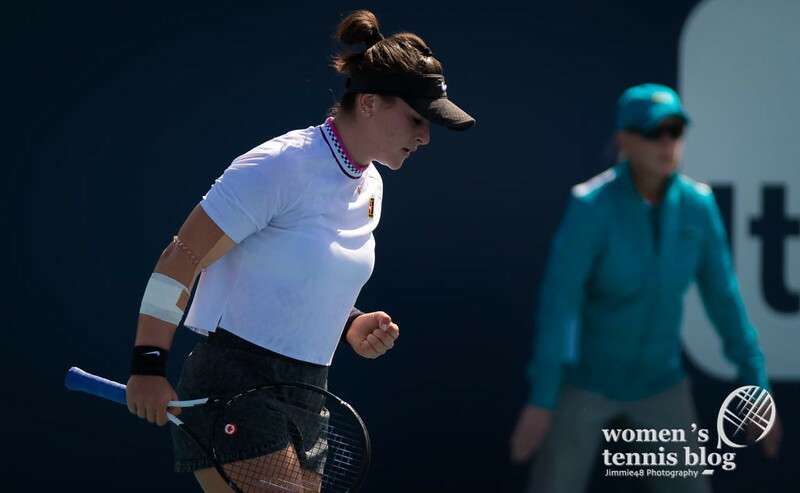 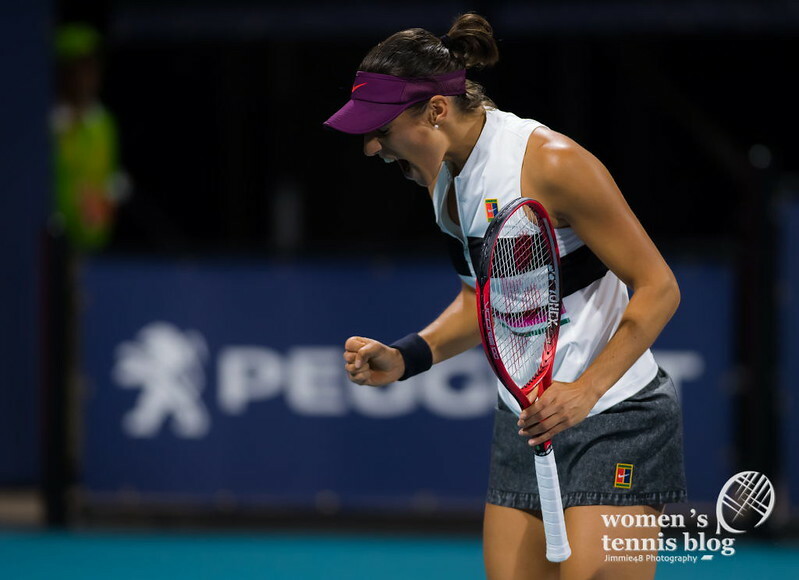 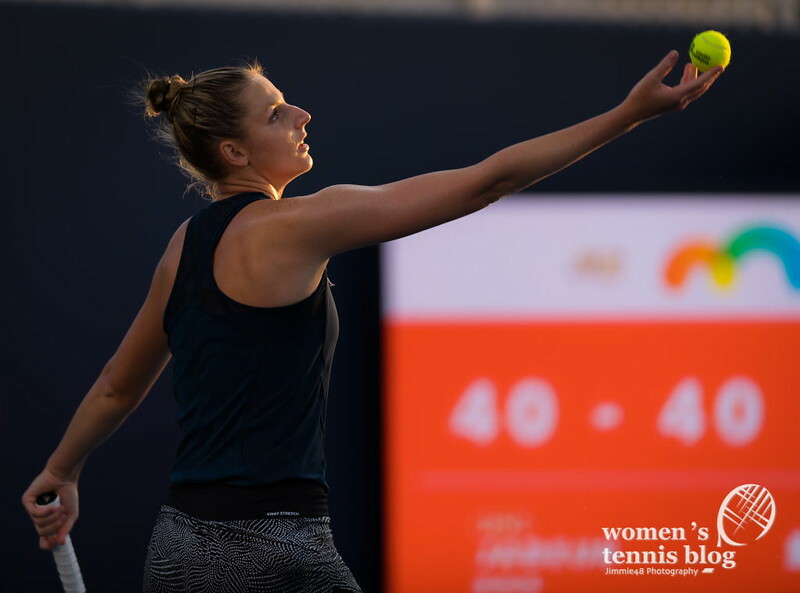 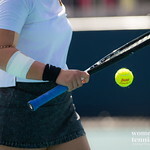 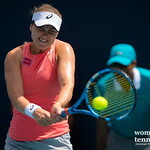 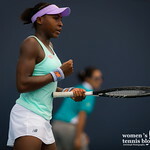 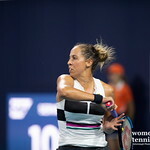 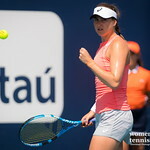 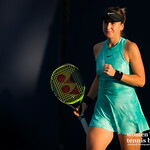 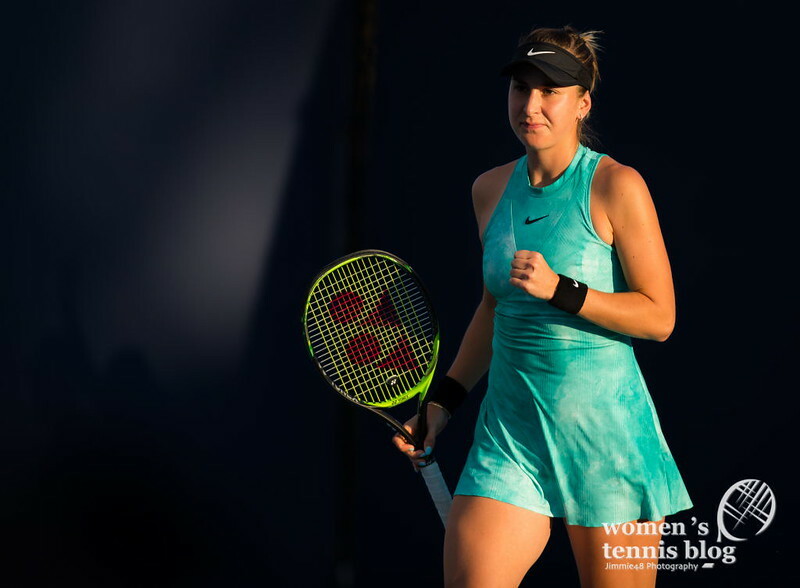 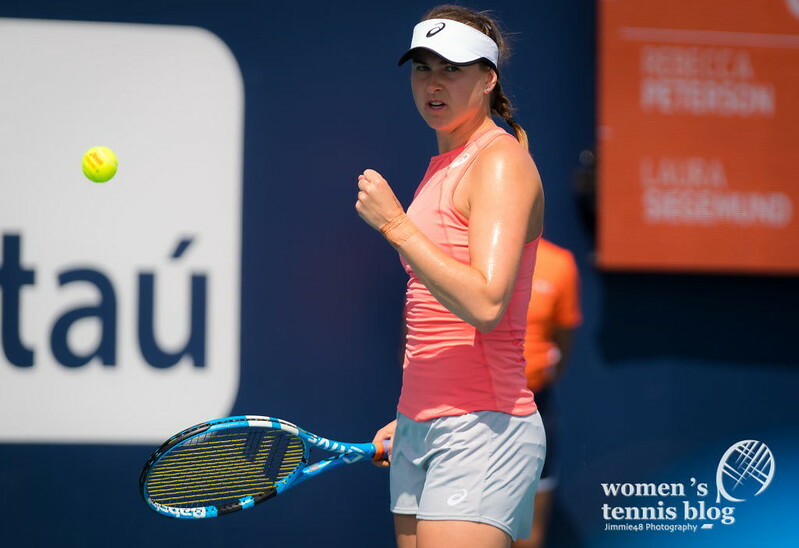 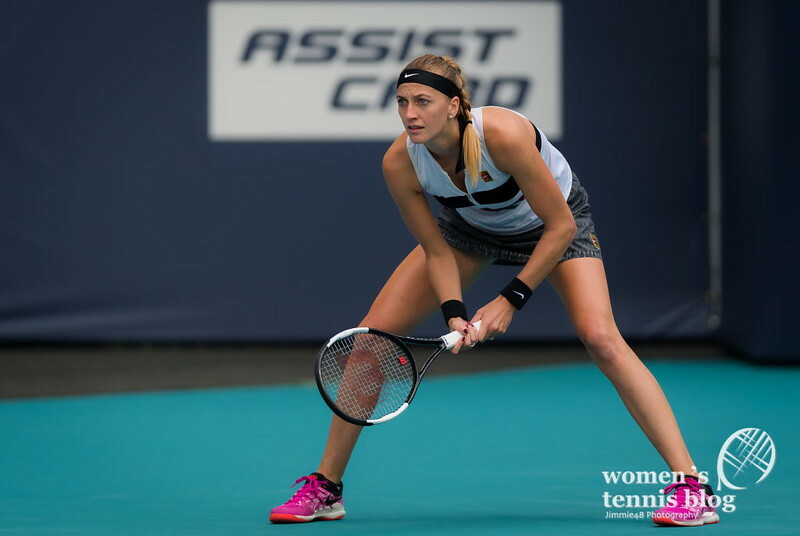 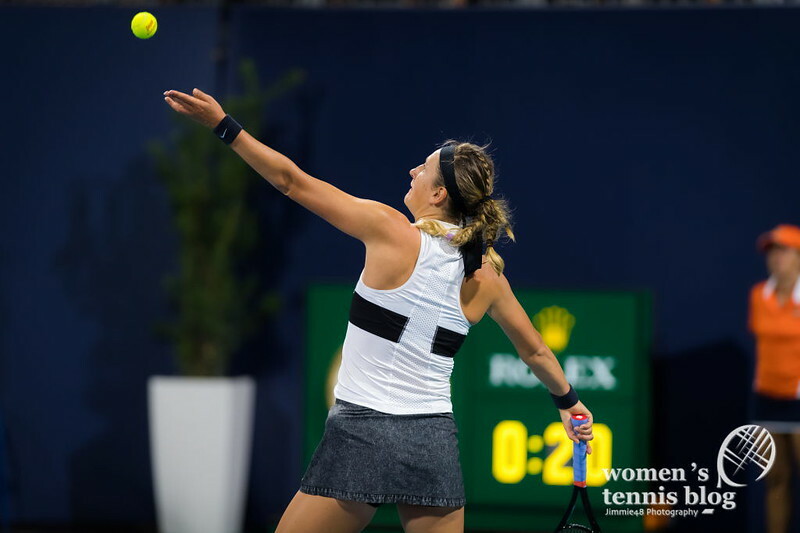 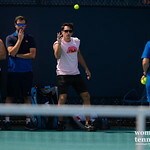 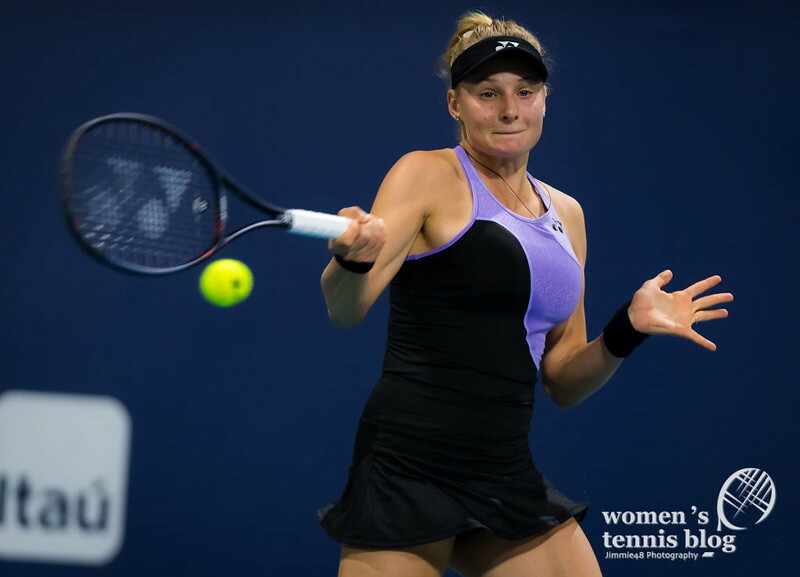 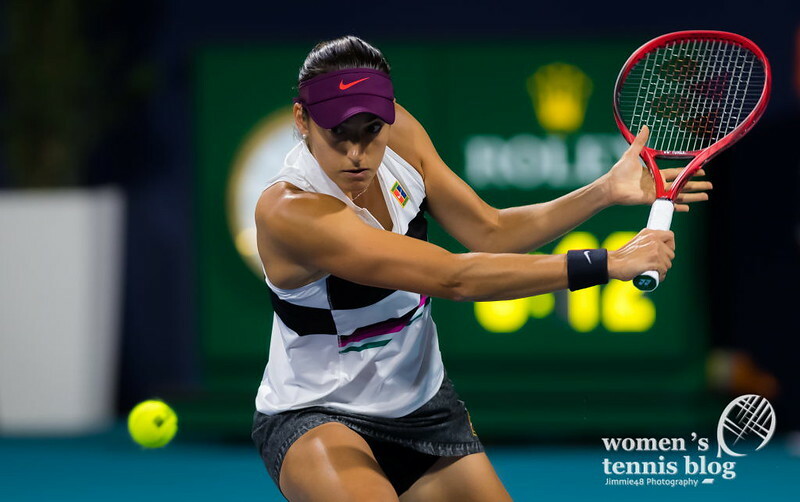 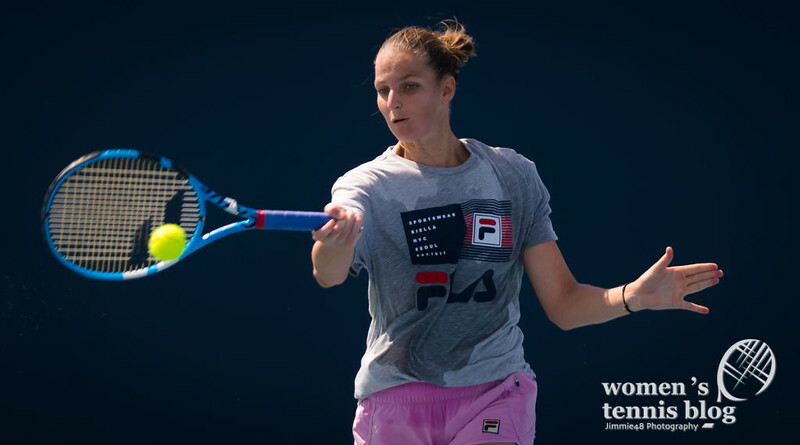 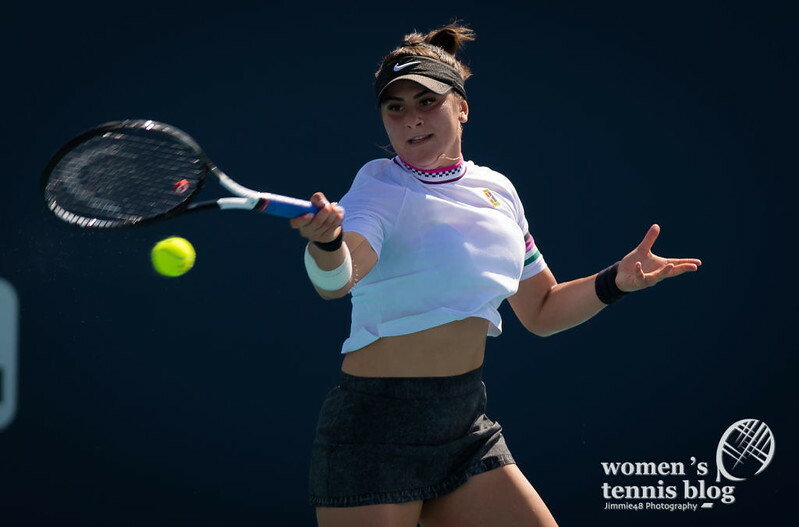 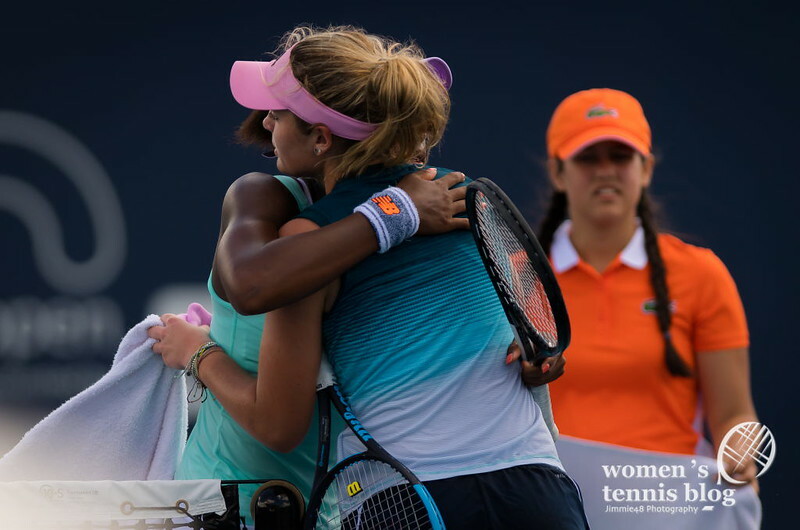 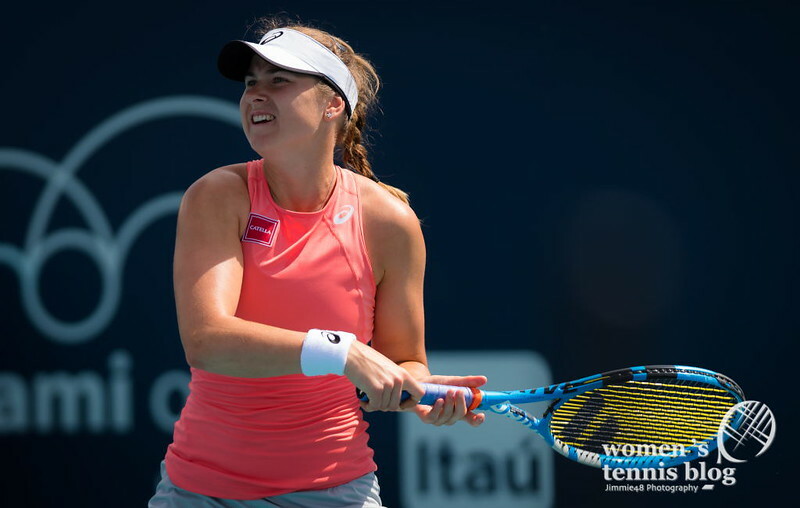 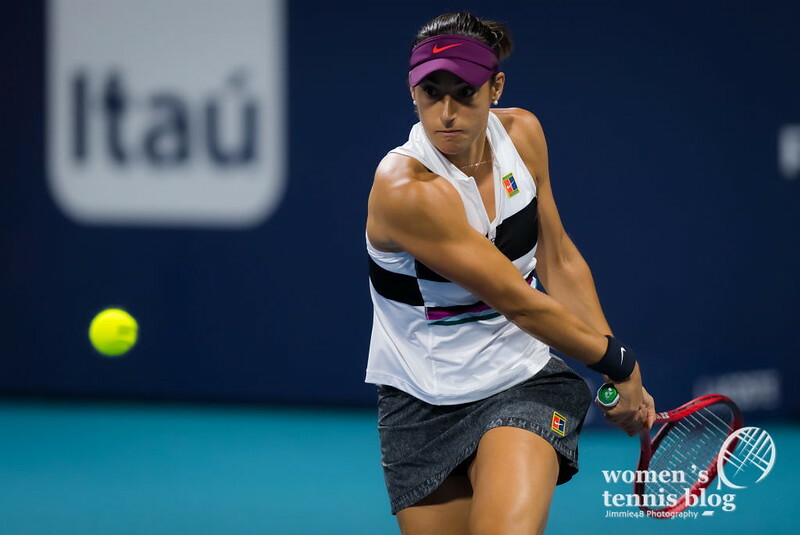 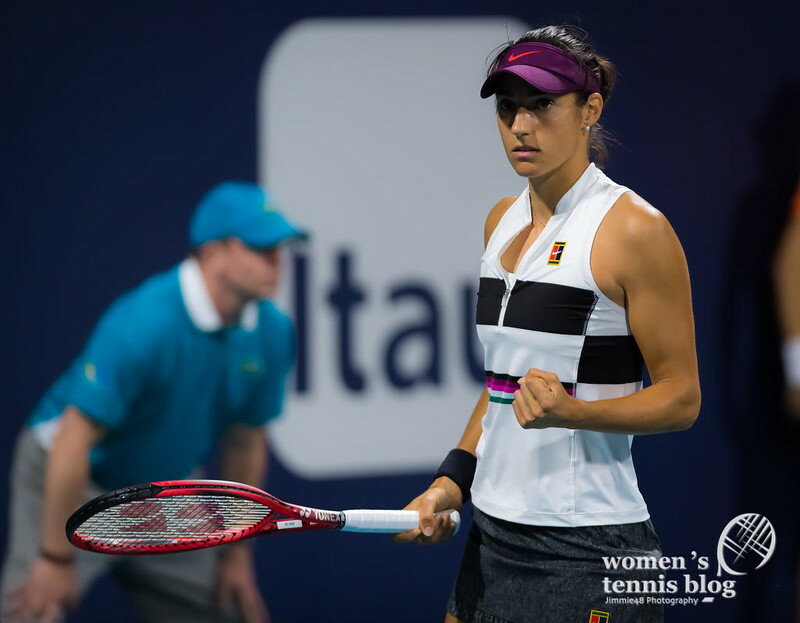 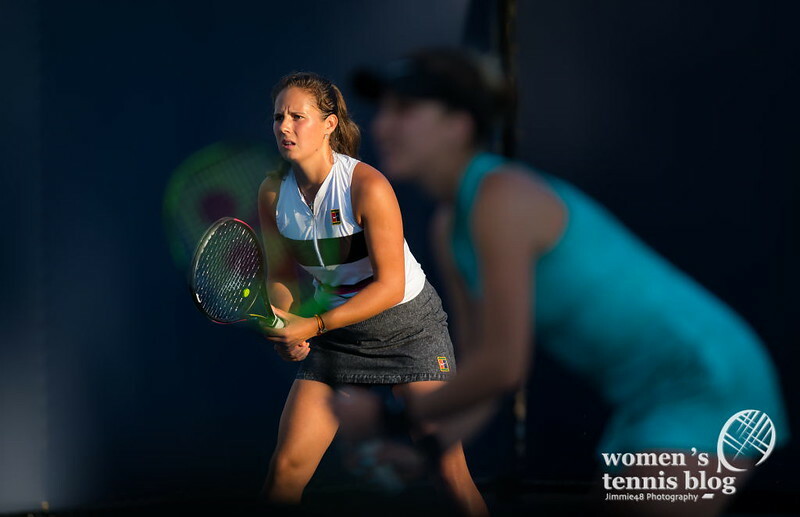 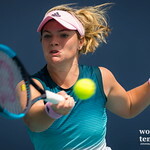 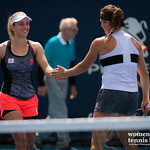 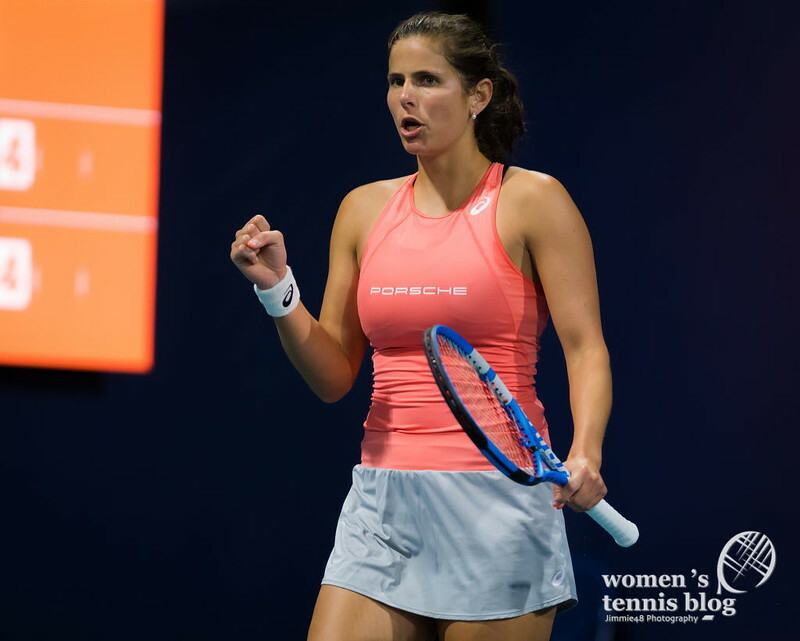 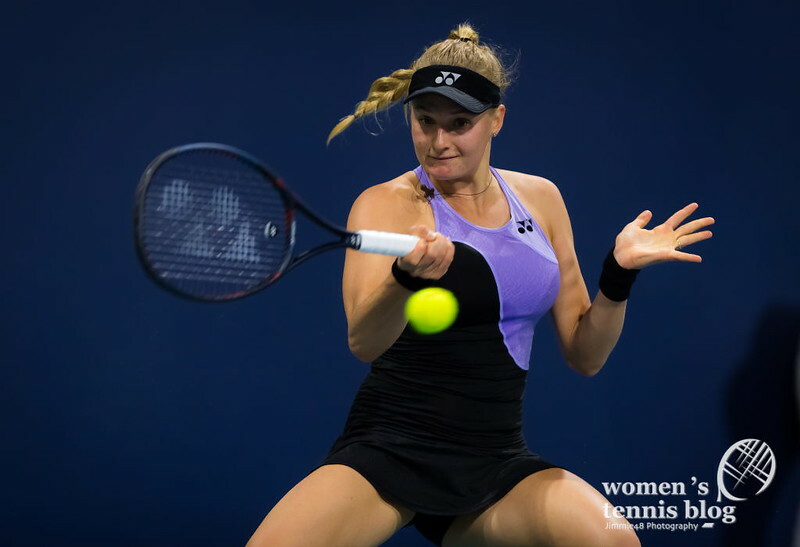 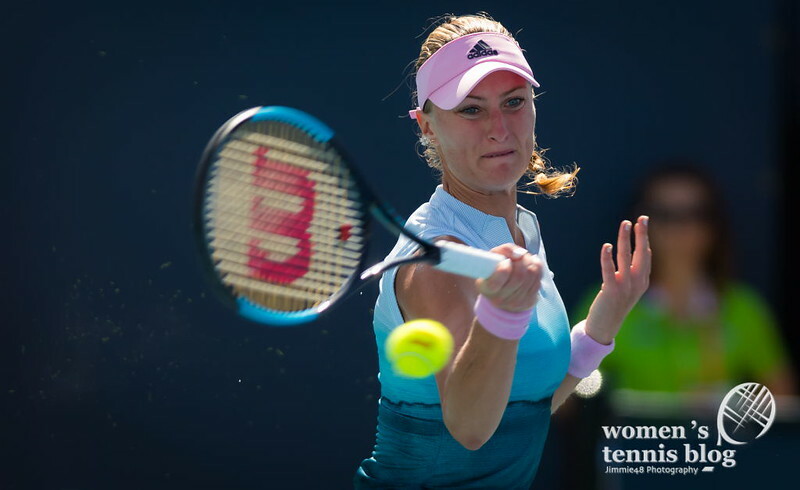 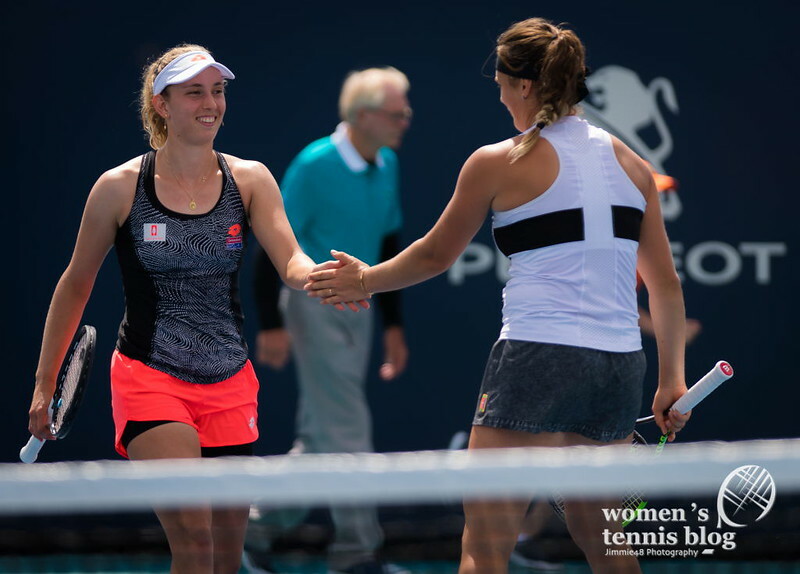 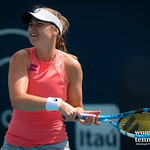 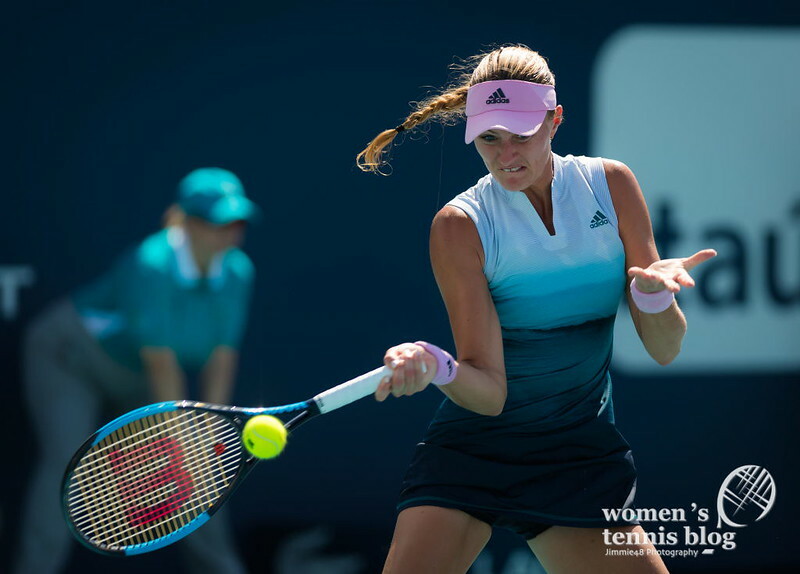 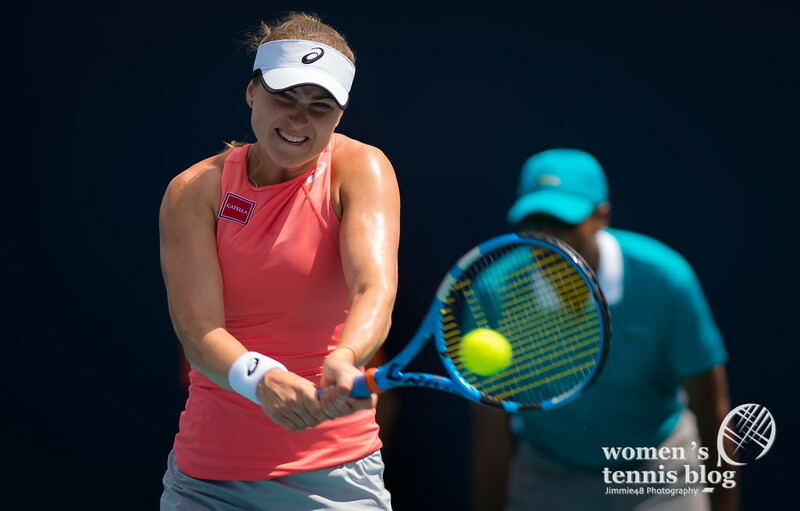 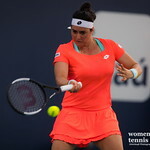 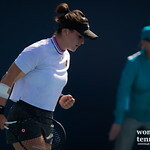 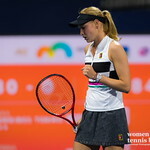 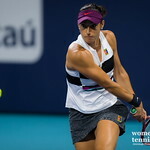 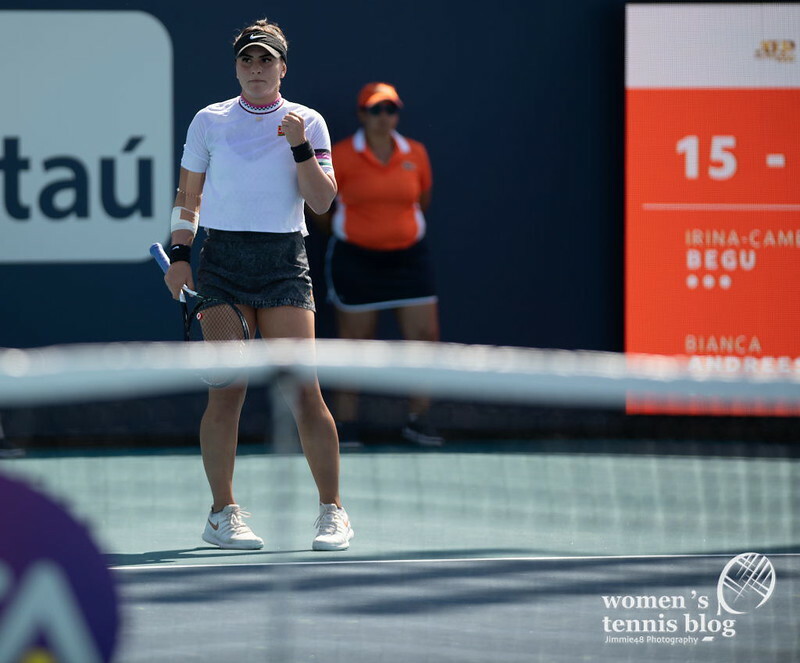 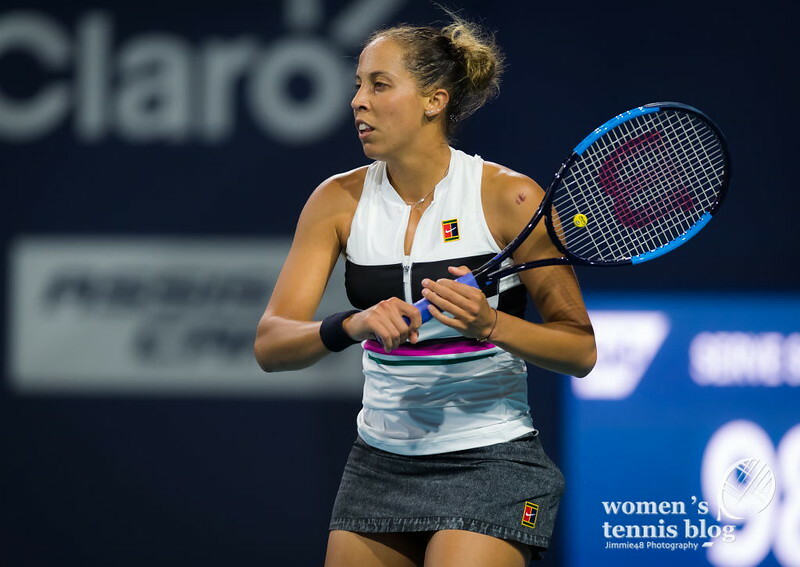 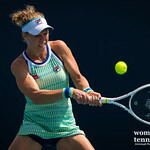 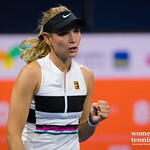 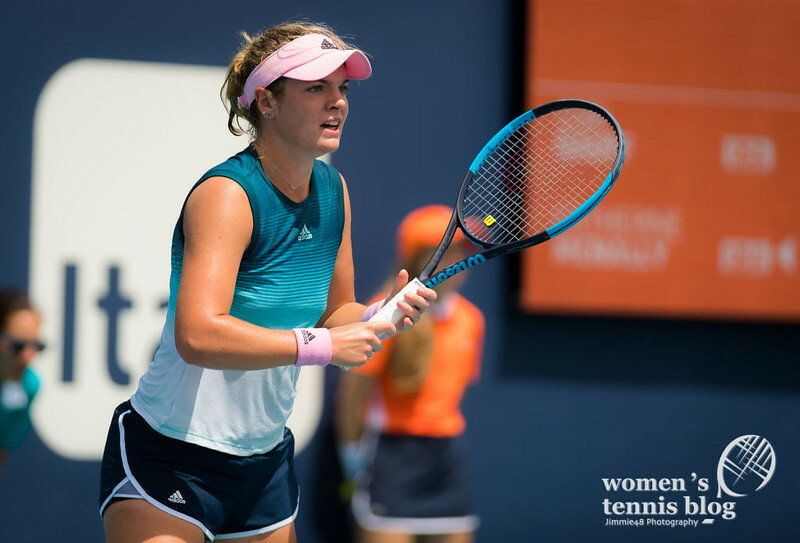 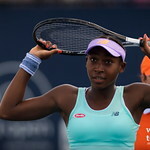 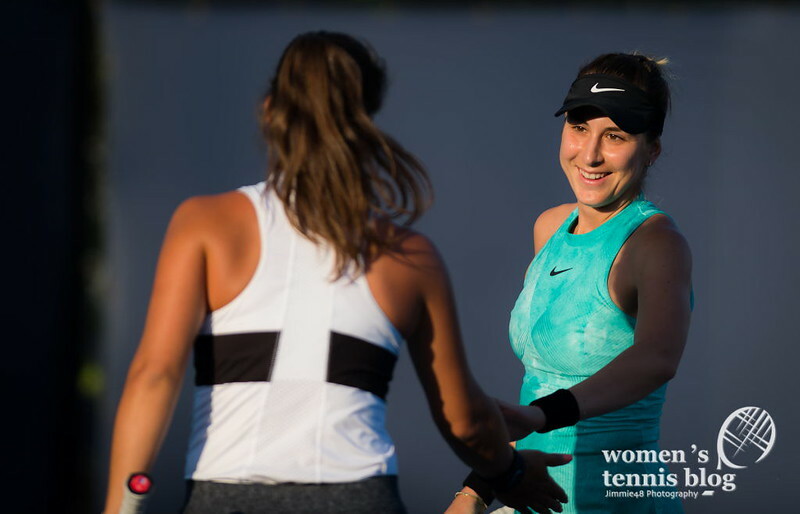 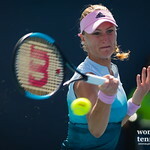 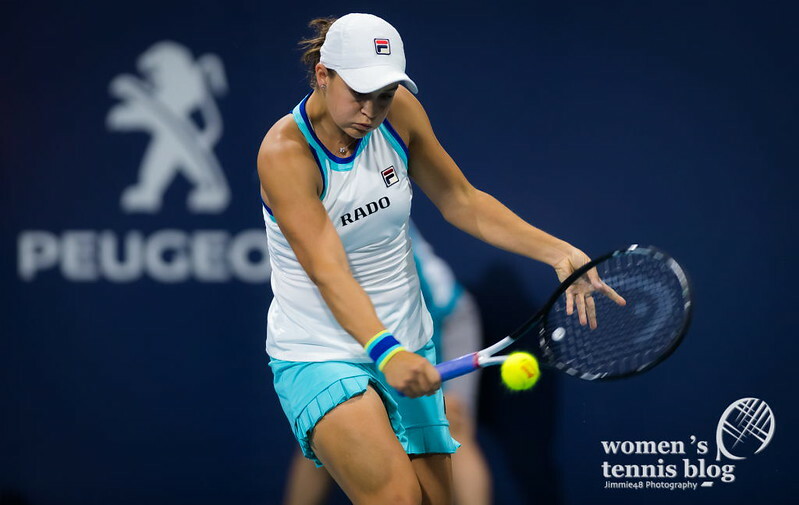 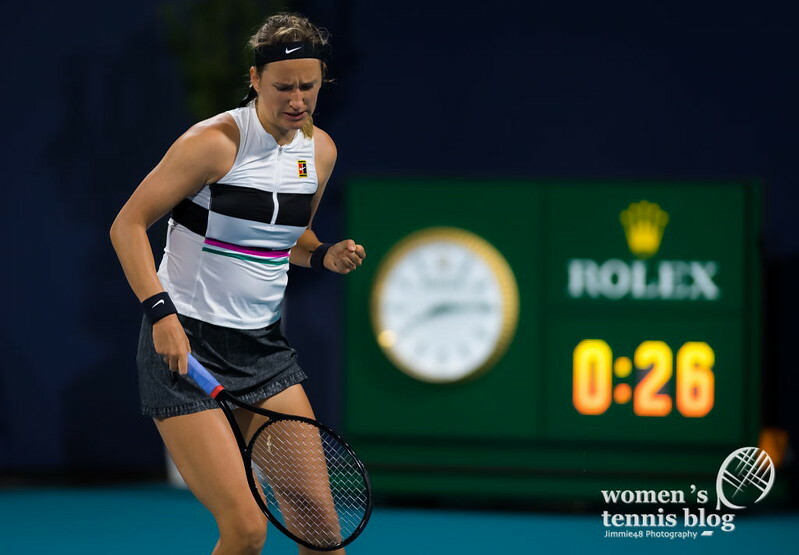 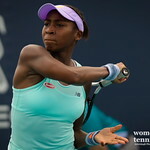 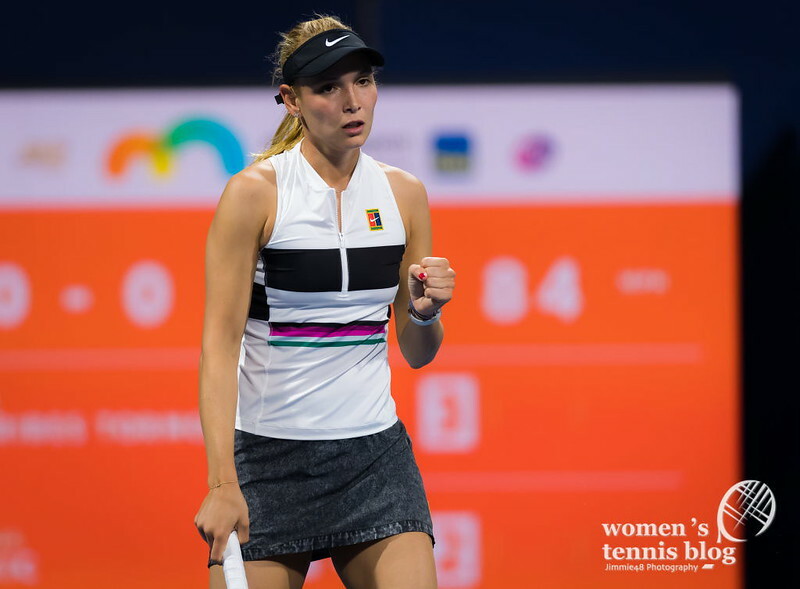 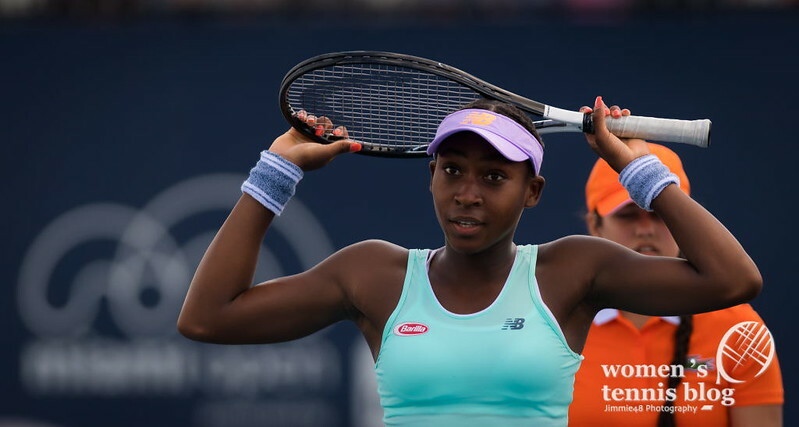 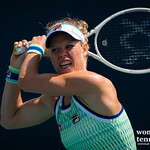 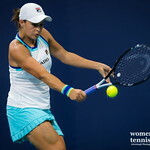 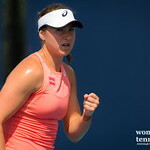 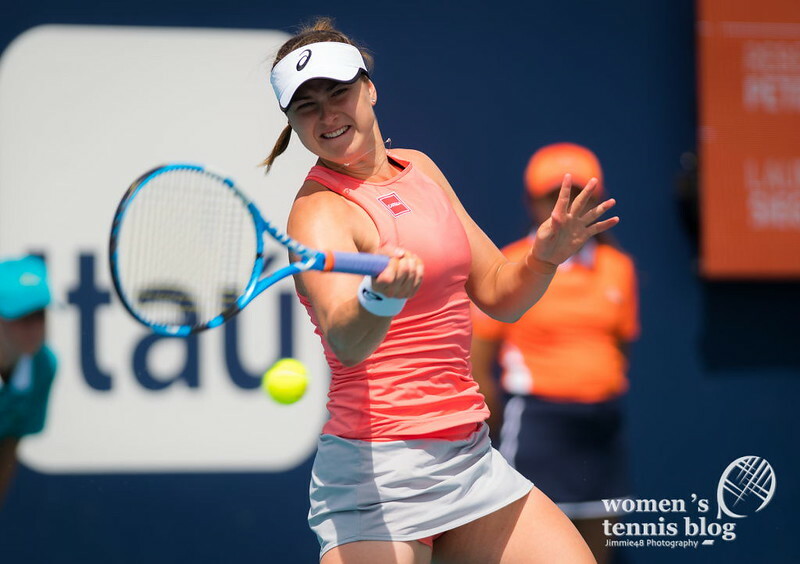 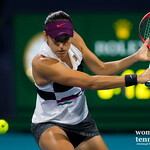 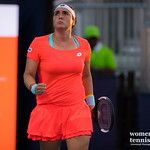 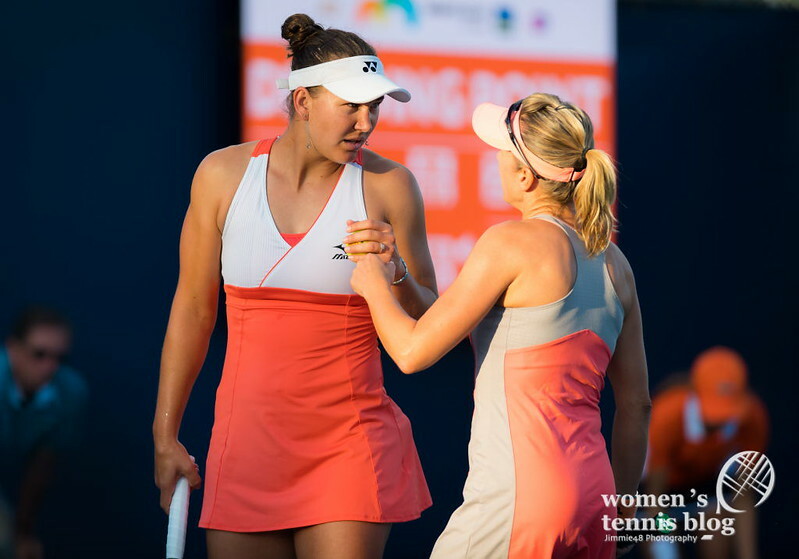 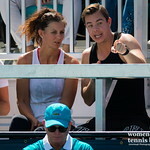 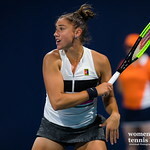 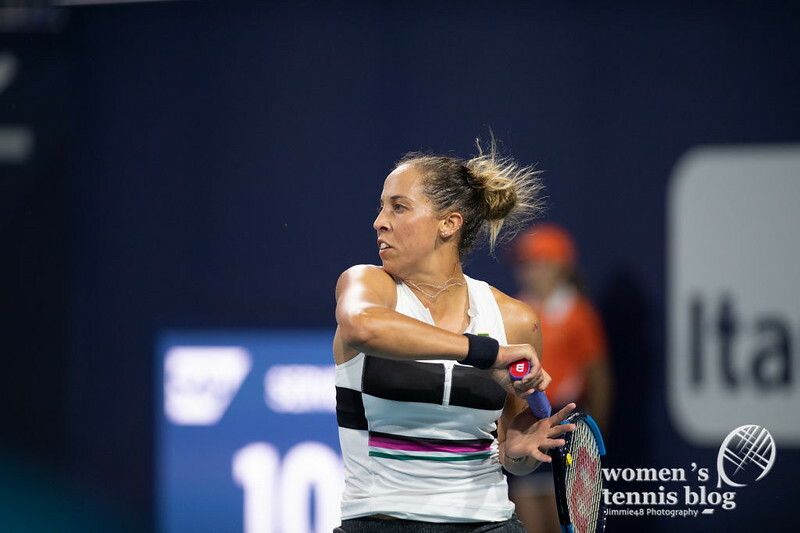 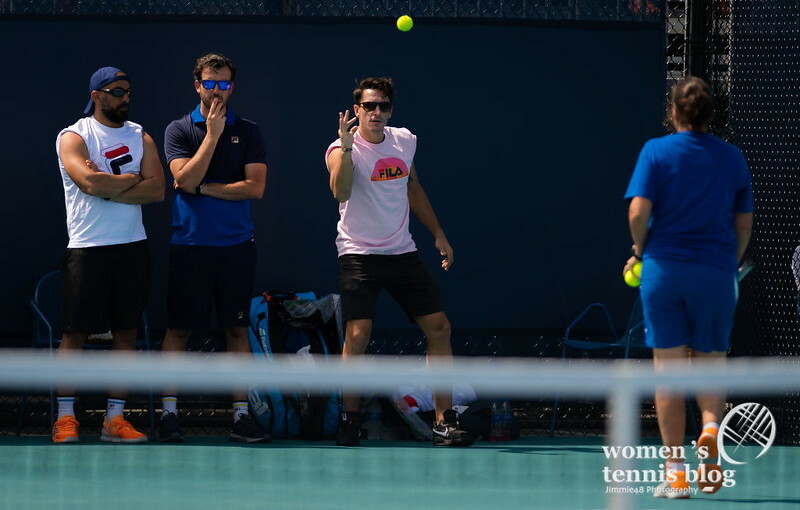 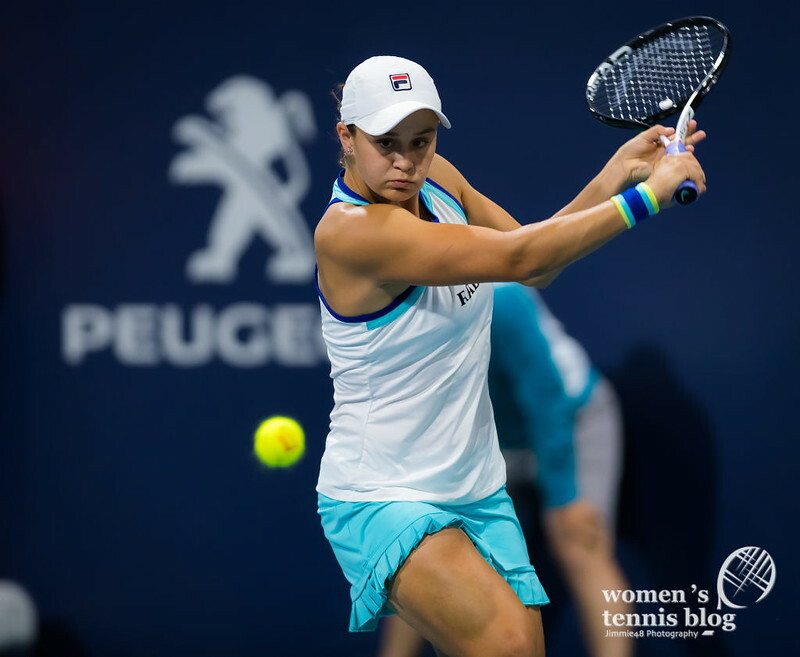 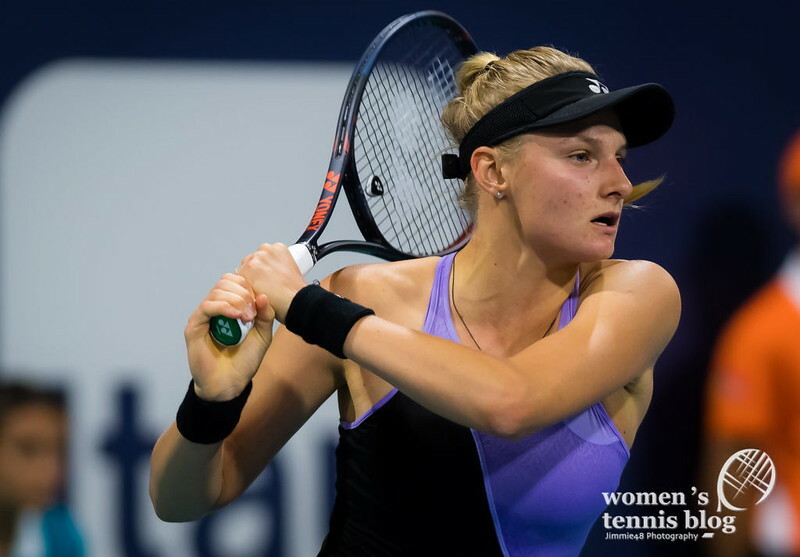 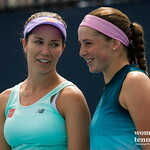 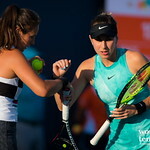 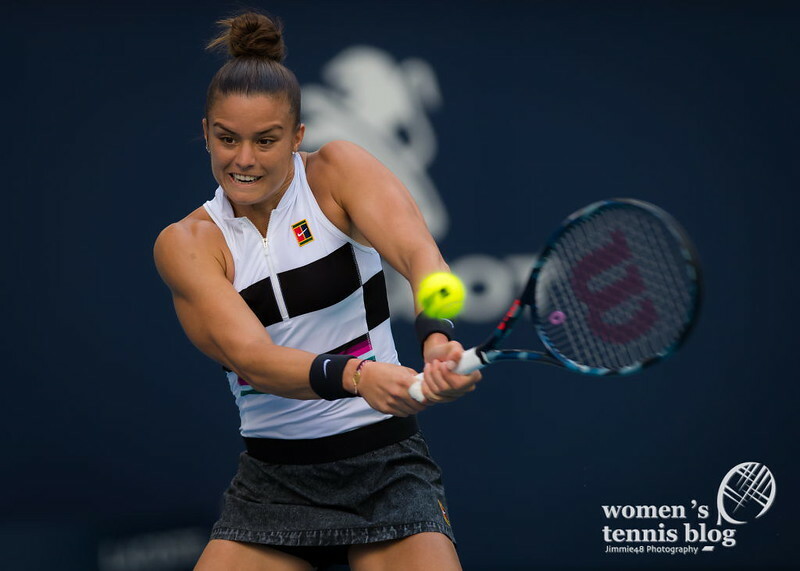 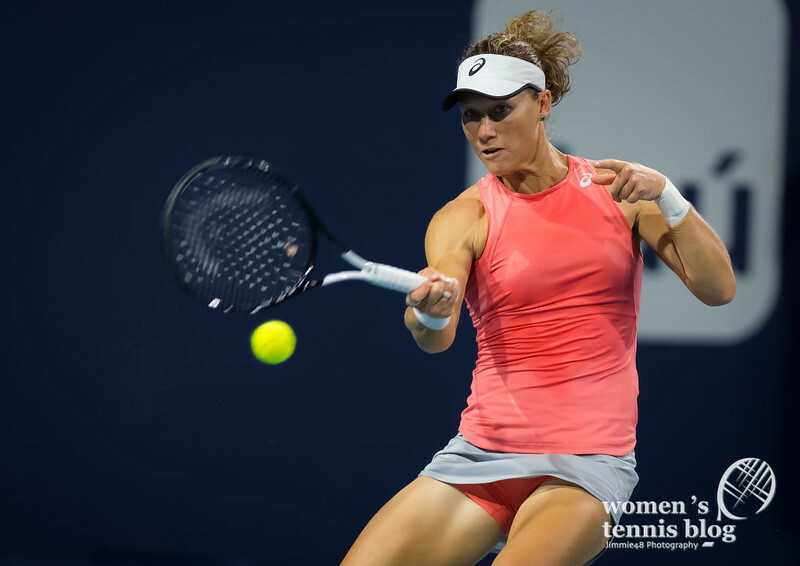 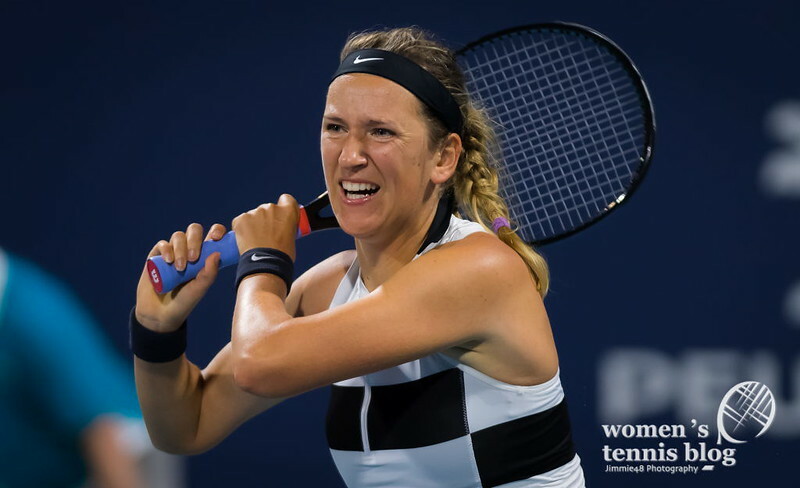 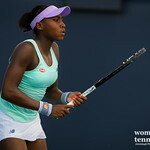 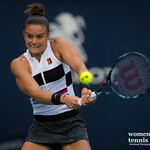 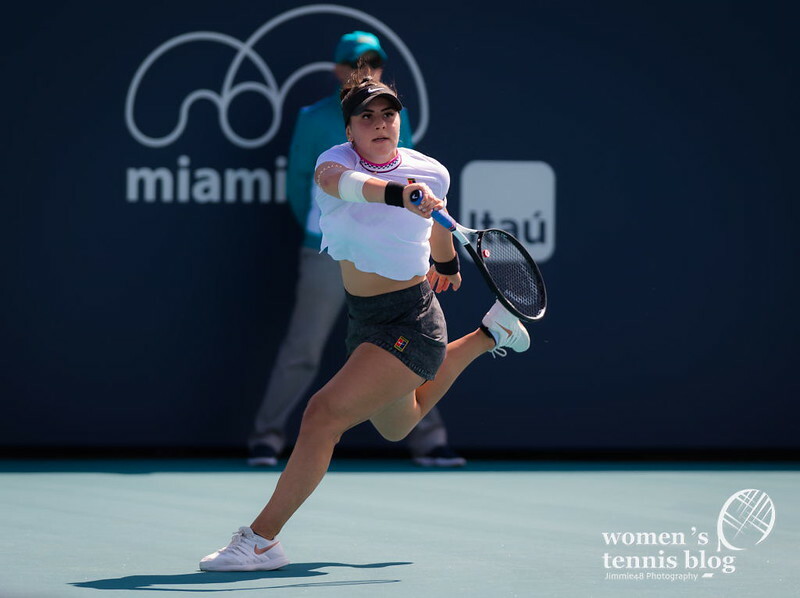 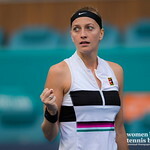 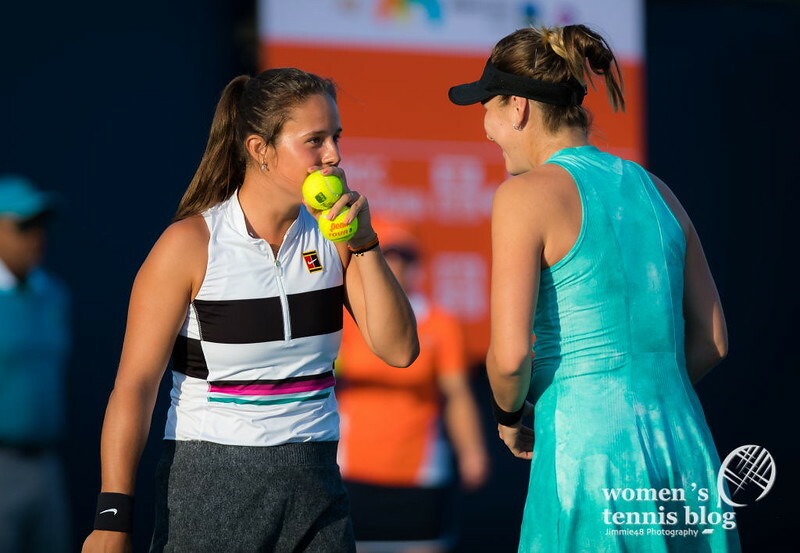 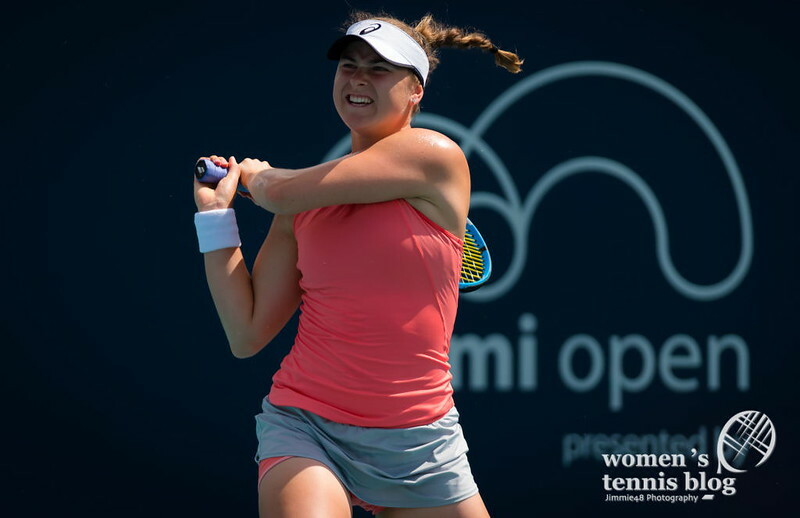 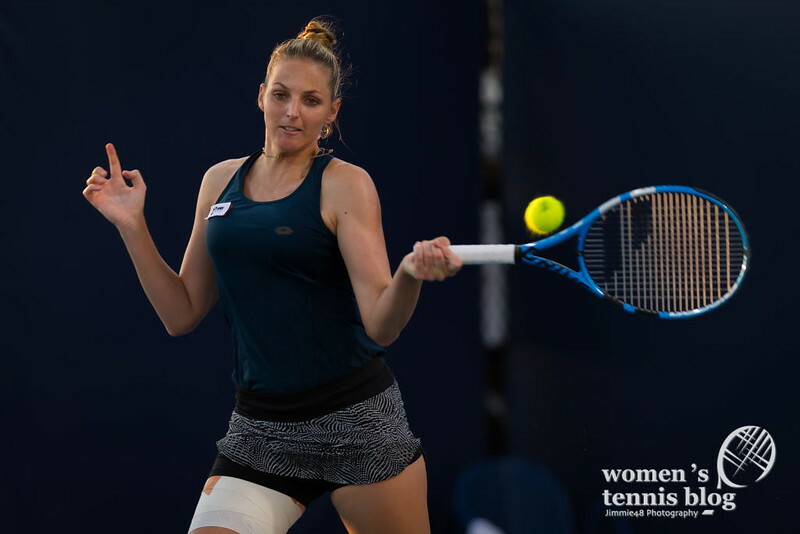 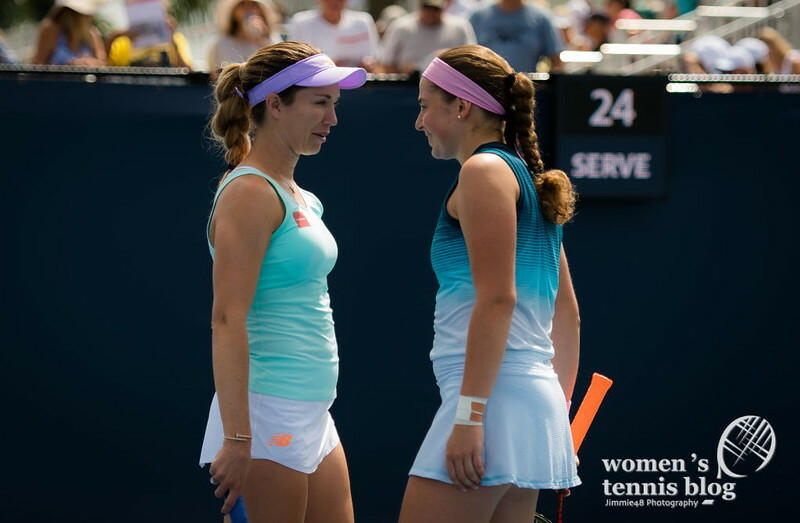 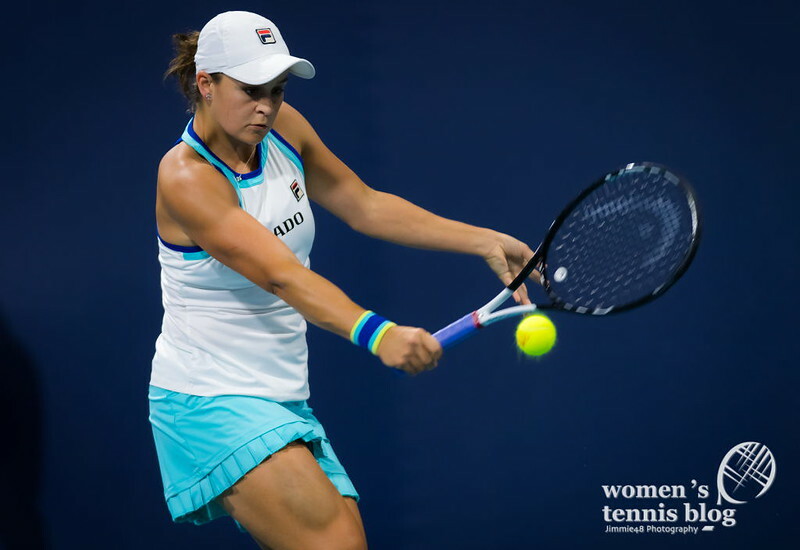 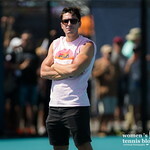 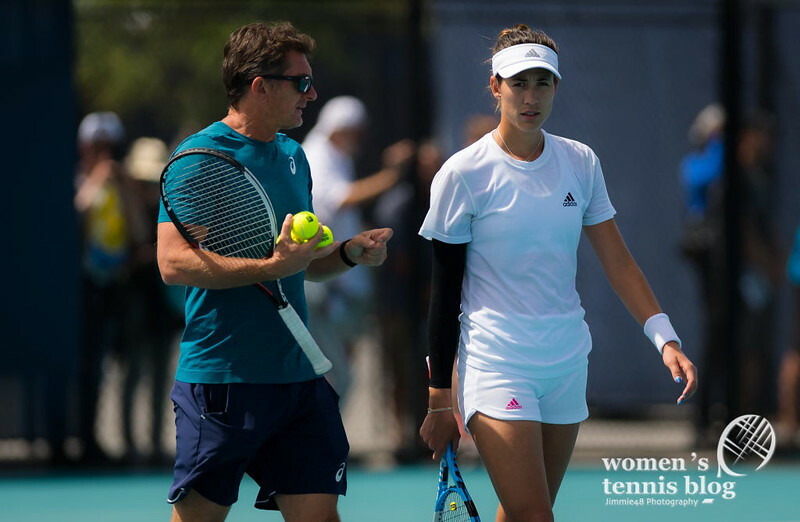 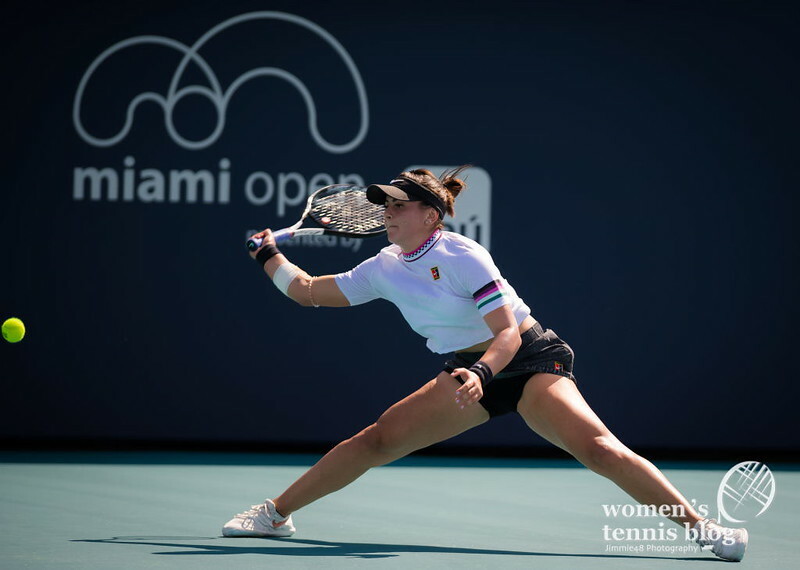 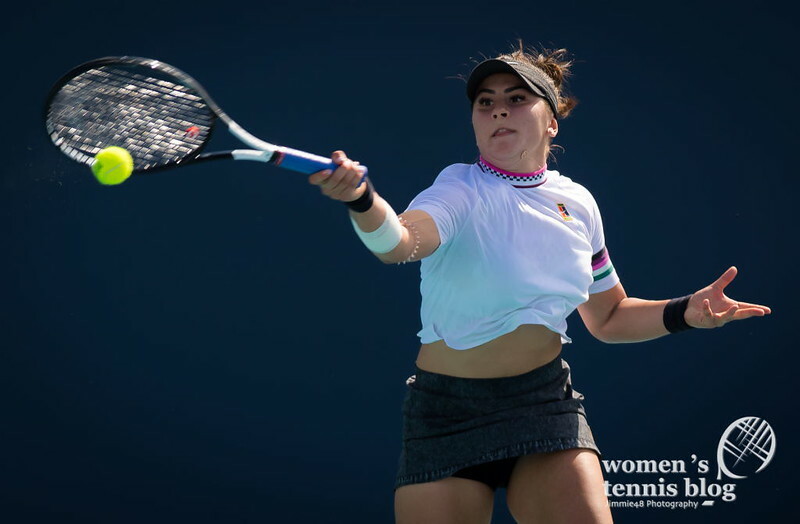 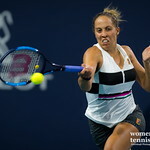 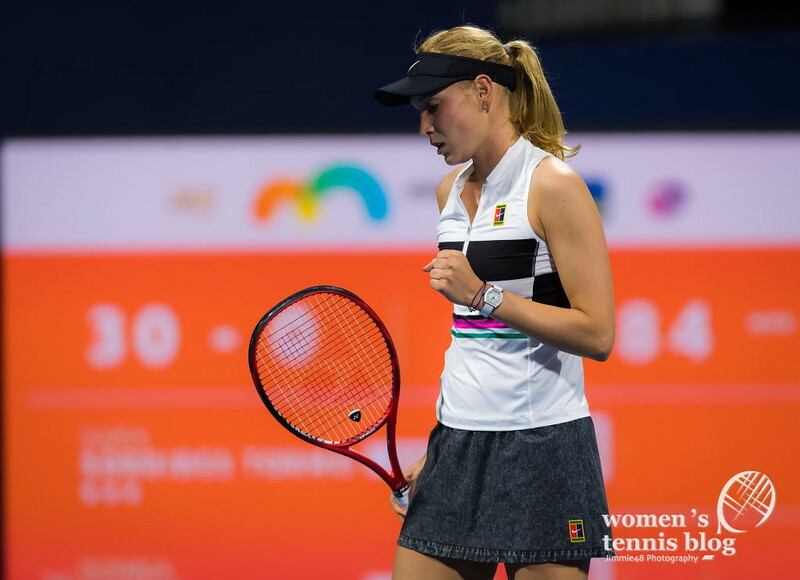 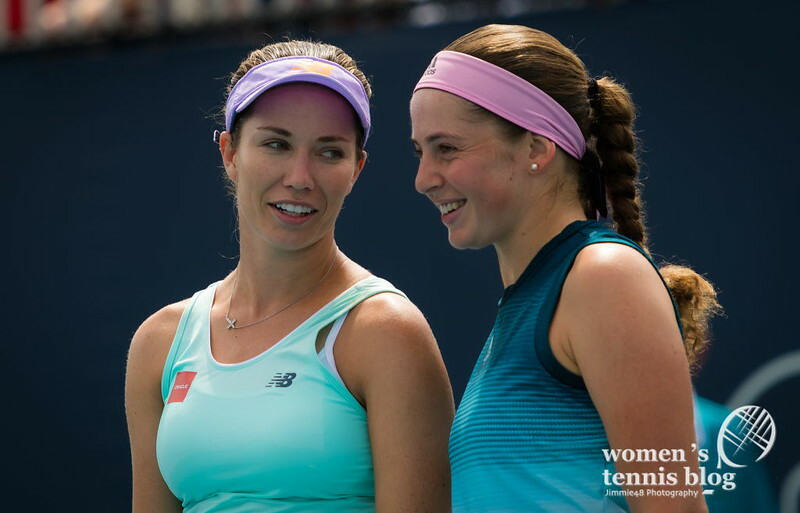 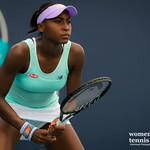 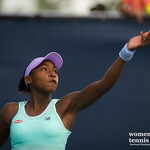 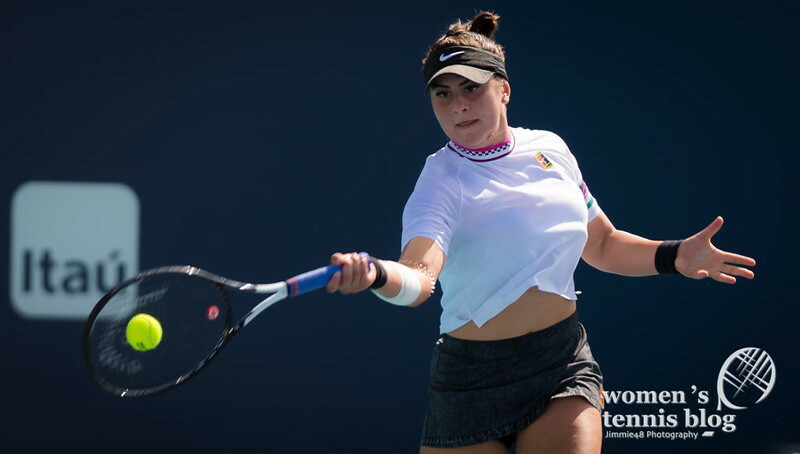 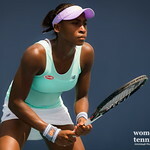 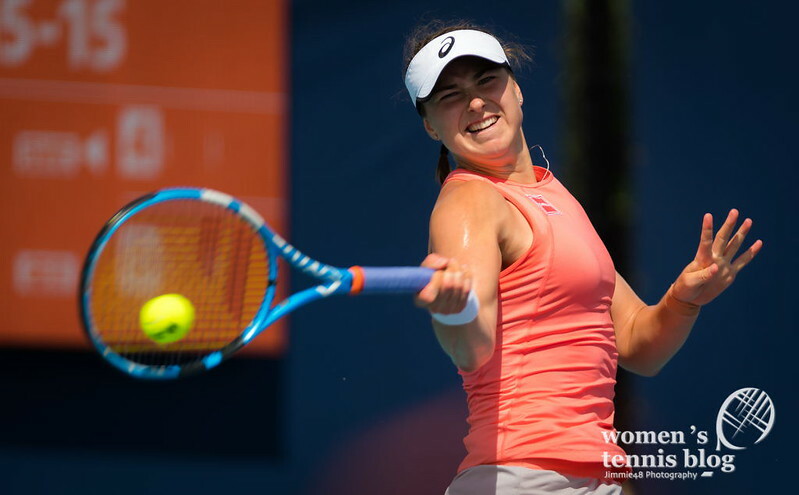 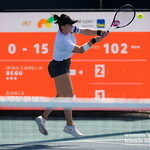 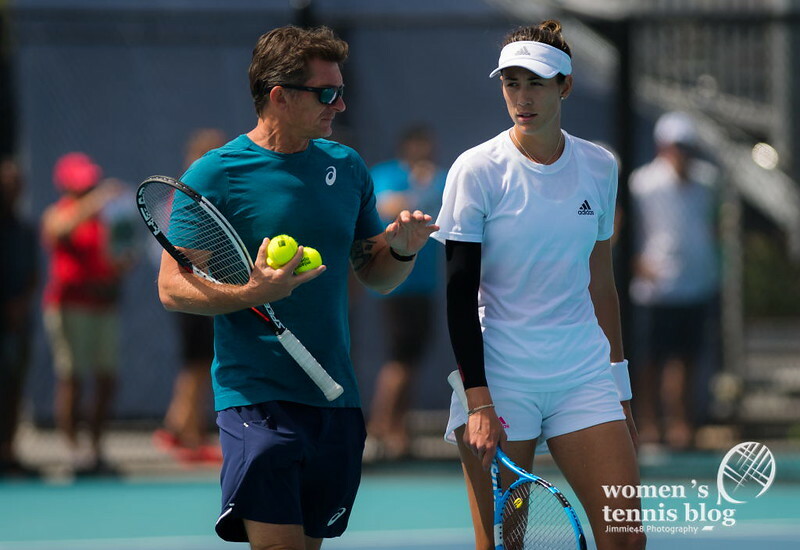 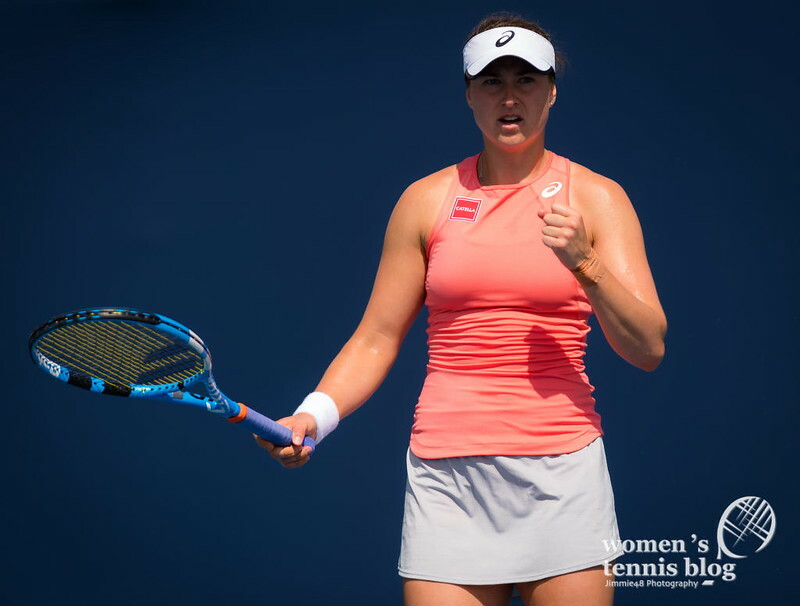 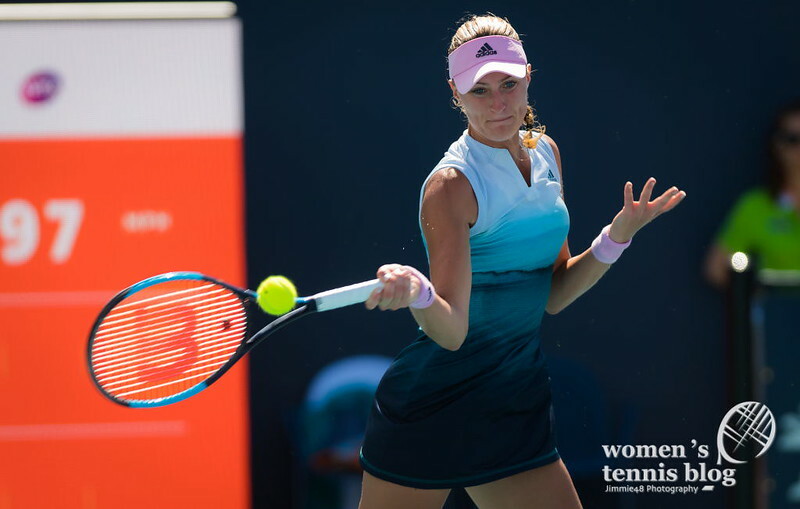 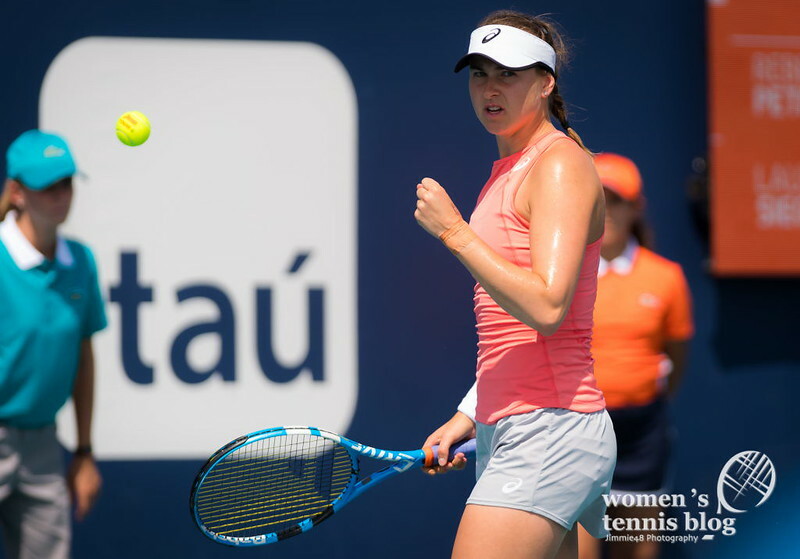 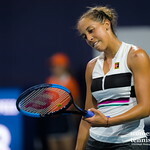 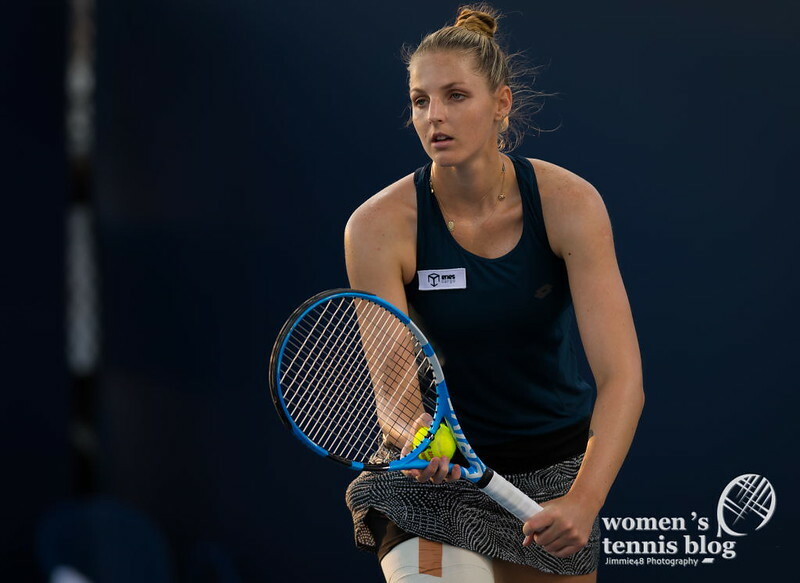 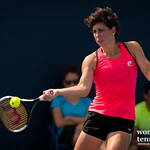 Our Jimmie48 mostly focused on the second round and he also attended two doubles matches: Elise Mertens‘ and Aryna Sabalenka‘s win over Danielle Collins and Jelena Ostapenko, and Belinda Bencic‘s and Daria Kasatkina‘s triumph over Nicole Melichar and Kveta Peschke. 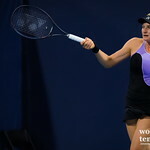 Jimmie48 made it to pretty much all singles matches in the second round, including Samantha Stosur‘s elimination of seed No.17 Madison Keys and seed No.19 Caroline Garcia‘s win over Victoria Azarenka. 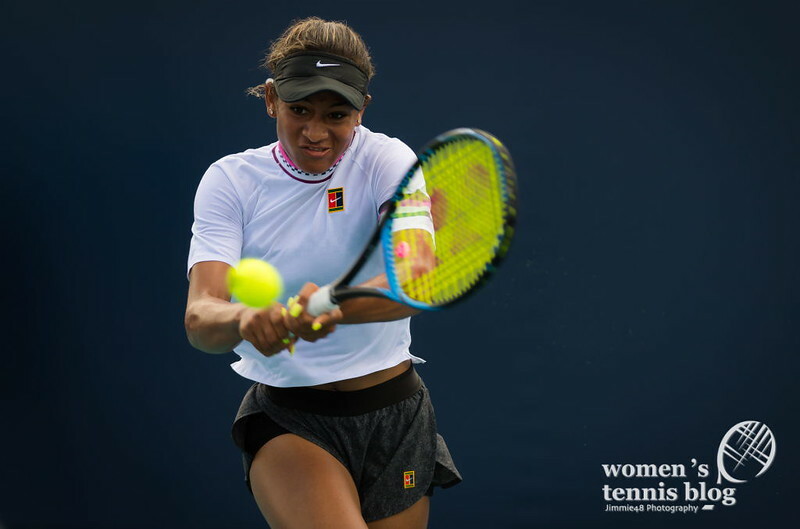 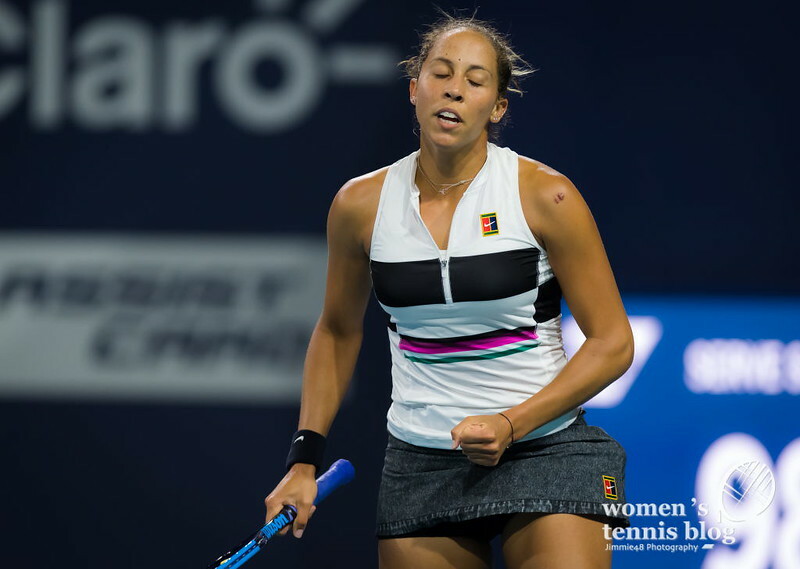 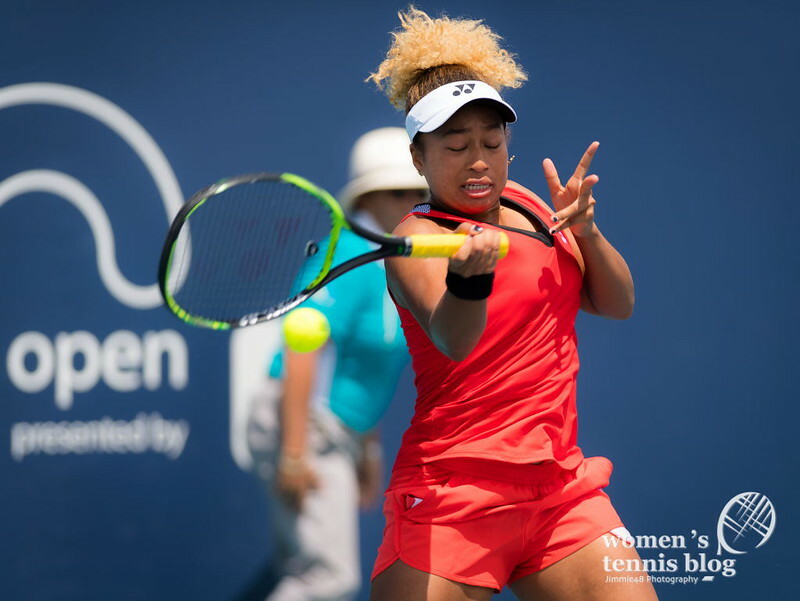 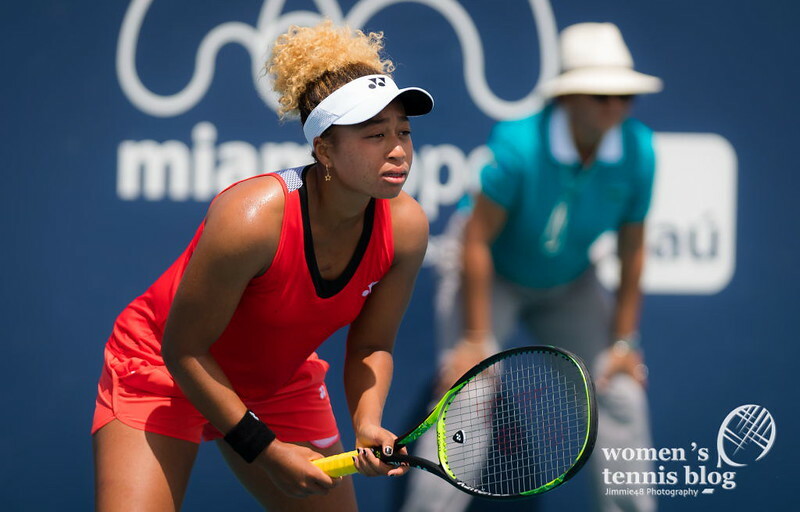 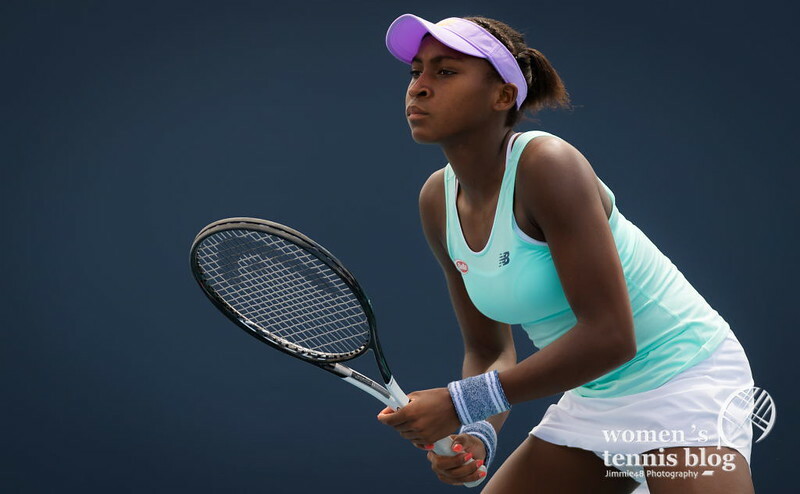 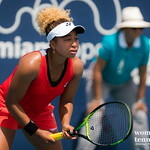 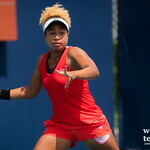 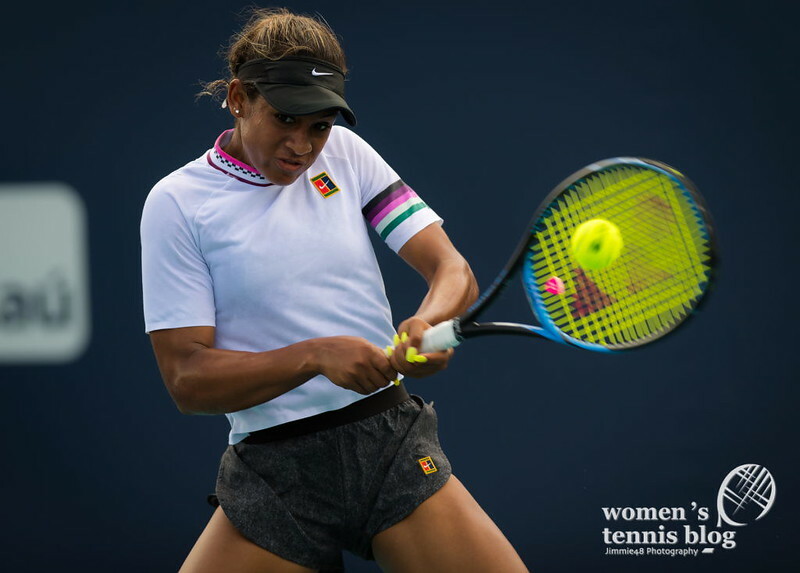 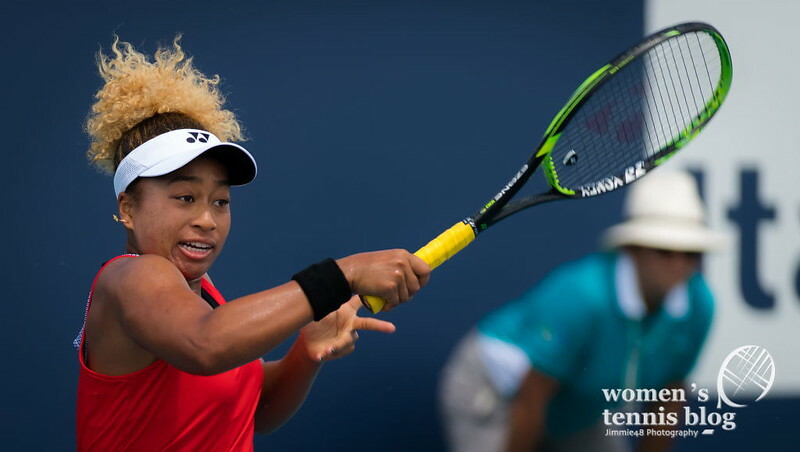 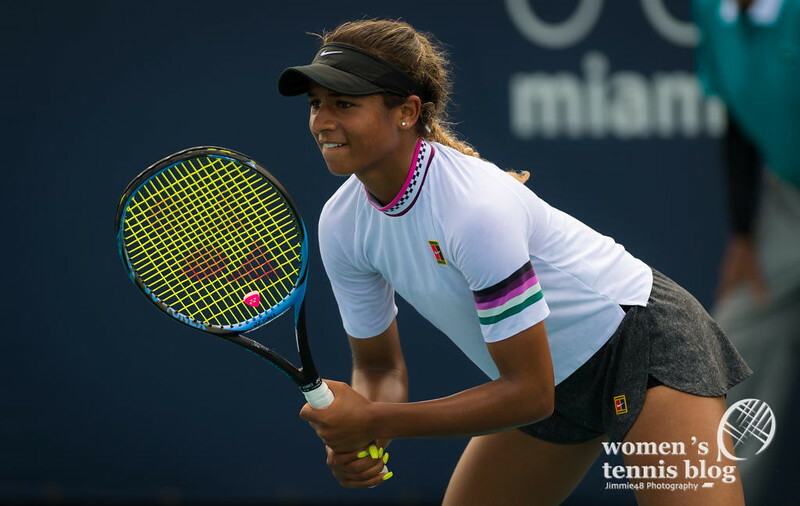 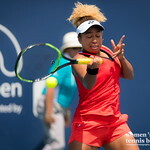 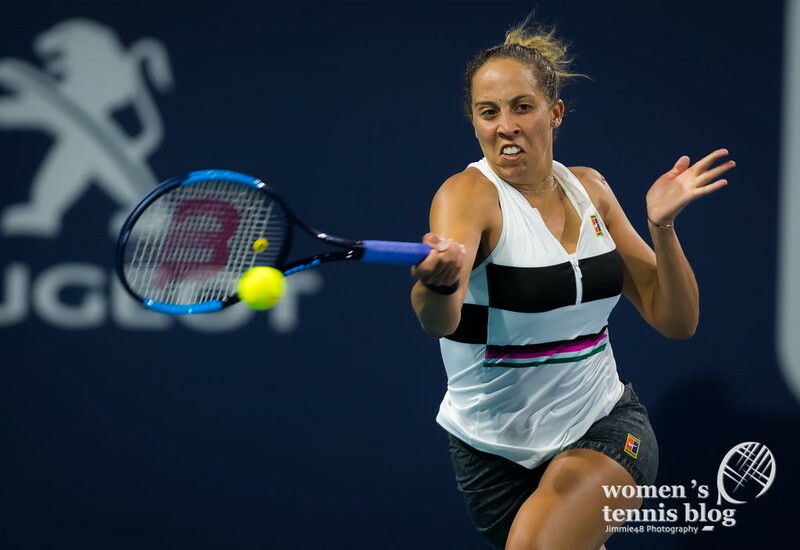 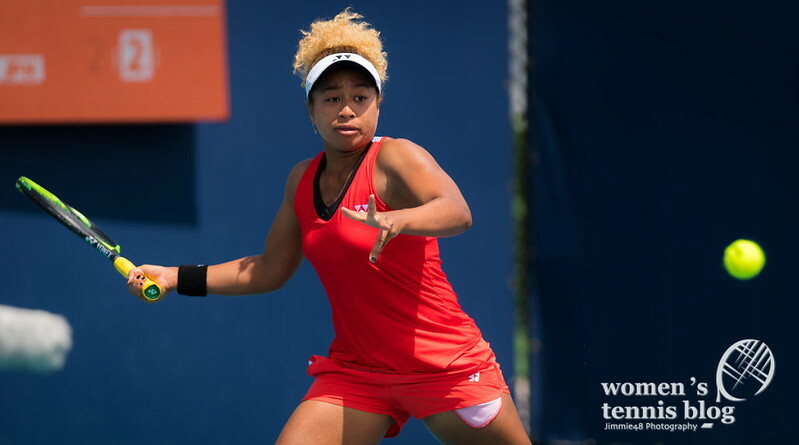 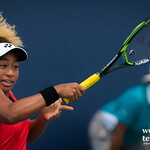 When it comes to the first round, you can see photos of world No.1 Naomi Osaka’s elder sister Mari Osaka, who lost to fellow wildcard Whitney Osuigwe. 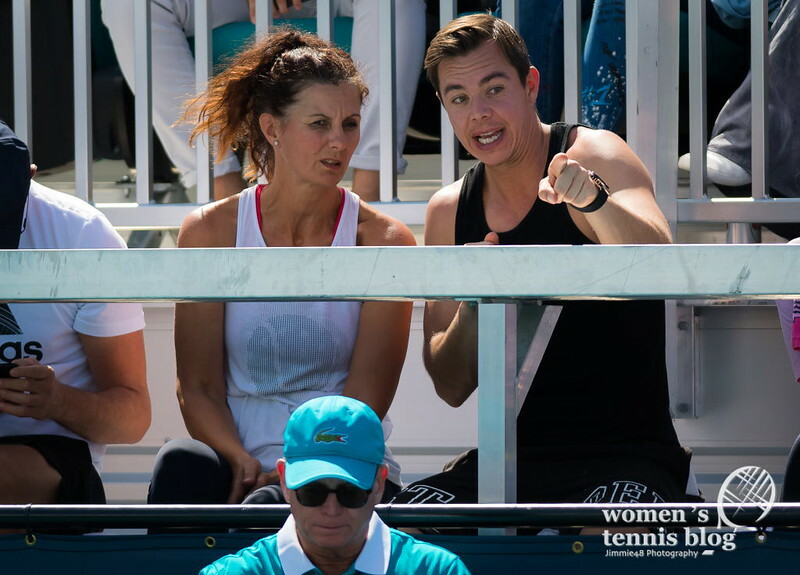 Our photographer also had one interesting sighting: after the shocking split with Naomi Osaka, coach Sascha Bajin is now in Kristina Mladenovic‘s box. 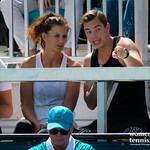 However, he is just helping her out, there is no official partnership. 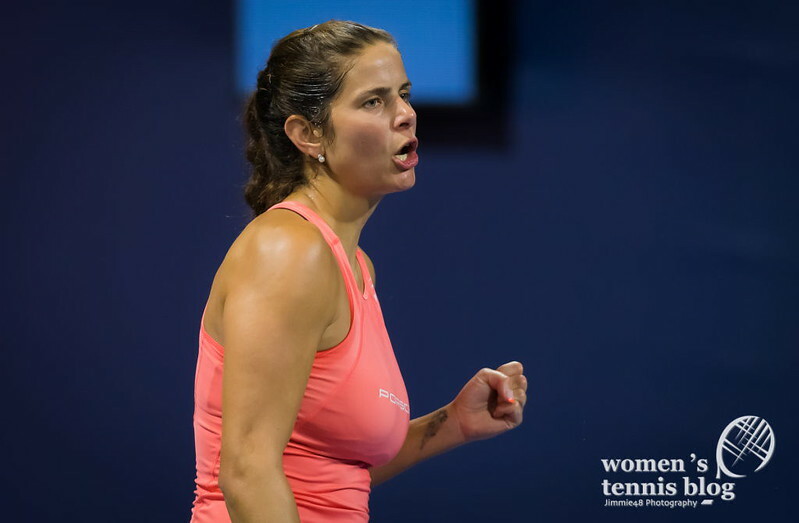 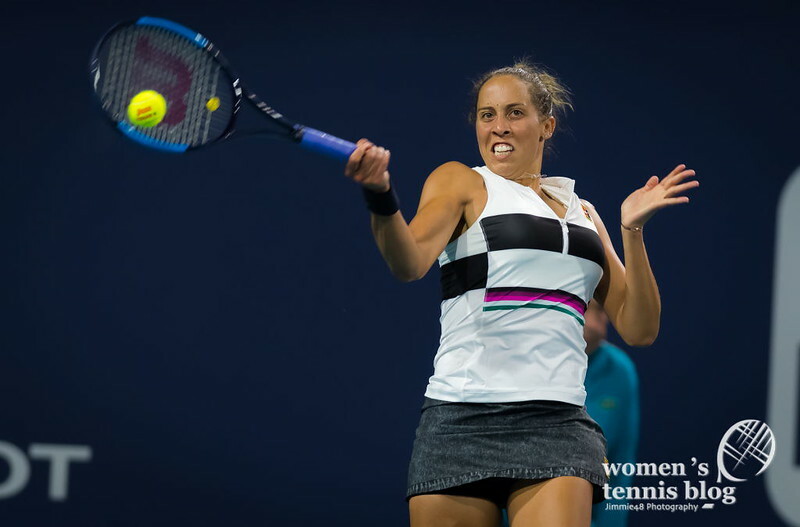 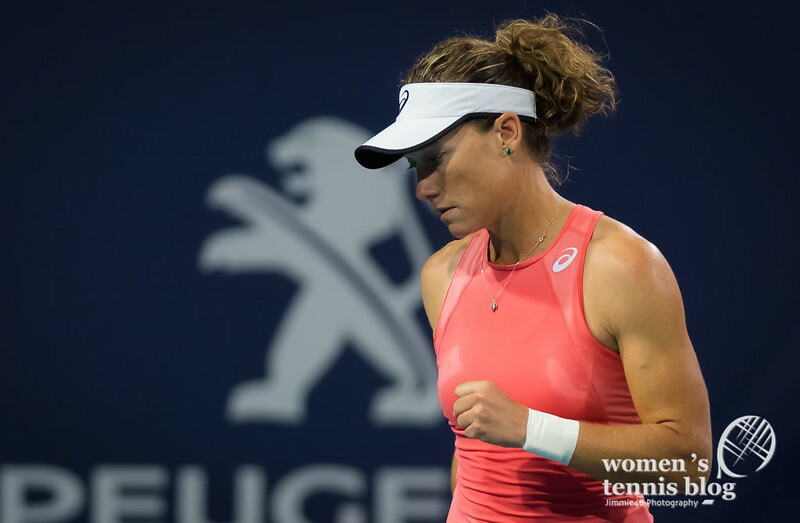 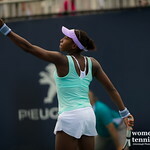 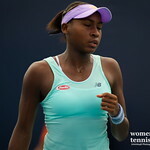 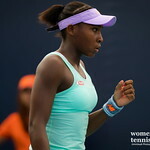 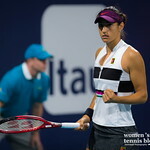 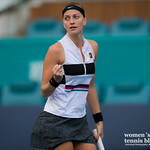 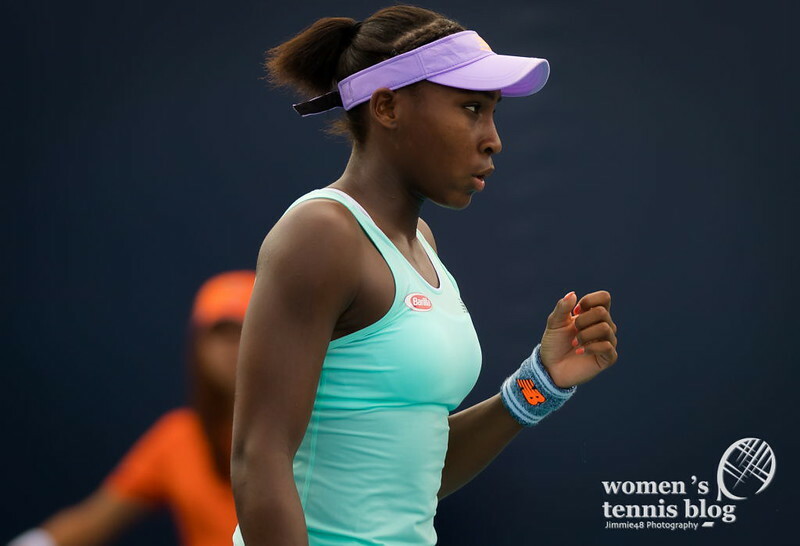 His help didn’t bring success, though, as the Frenchwoman lost in the first round to Wang Yafan in straight sets. 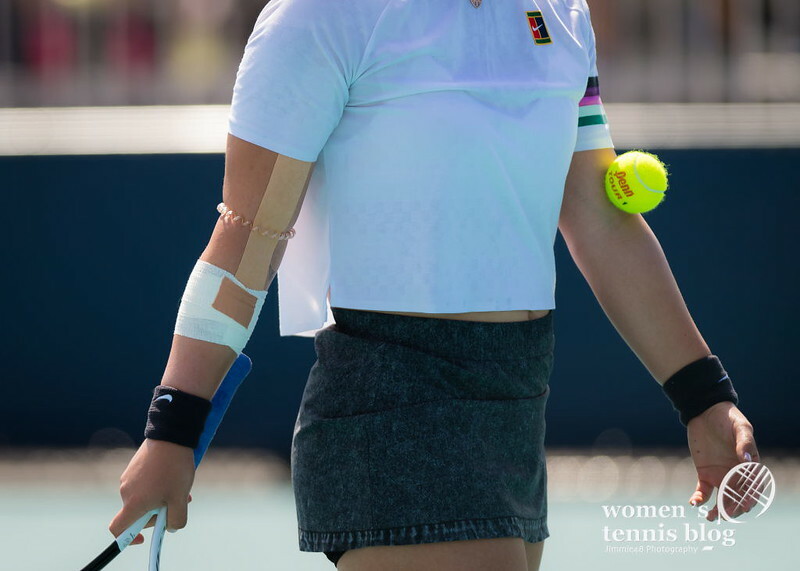 All this and more you can see in the gallery below! 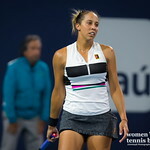 Yep, Kristina lost to one of the fungible Chinese Wang’s. 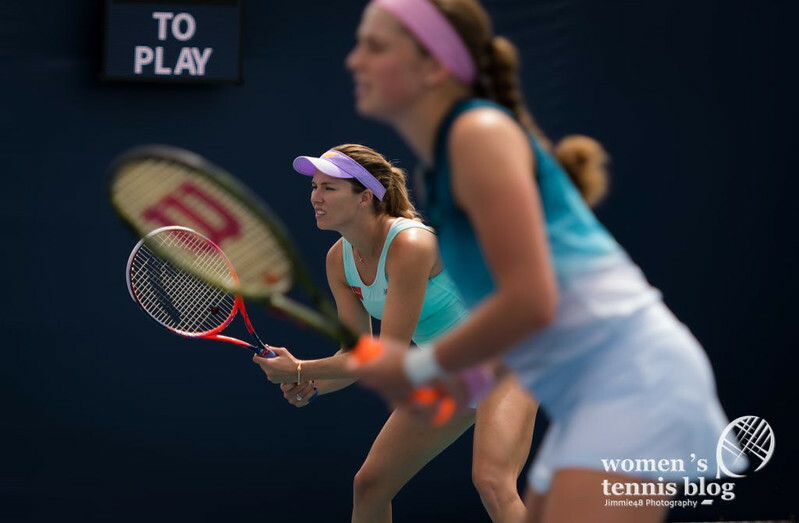 Watch out for the 4 Wangs. 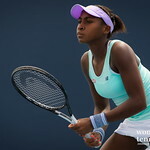 Pretty soon they will all be in the top 100. 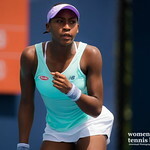 2 of them (Qiang and Yafan) are already in the top 50! 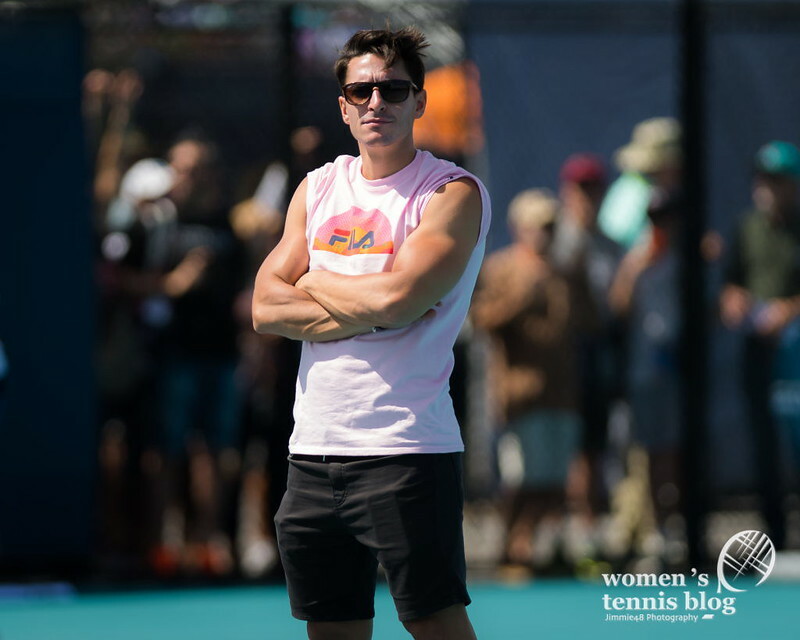 Mladenovic was in the “Thiem” box to watch his defeat to the young Pole. 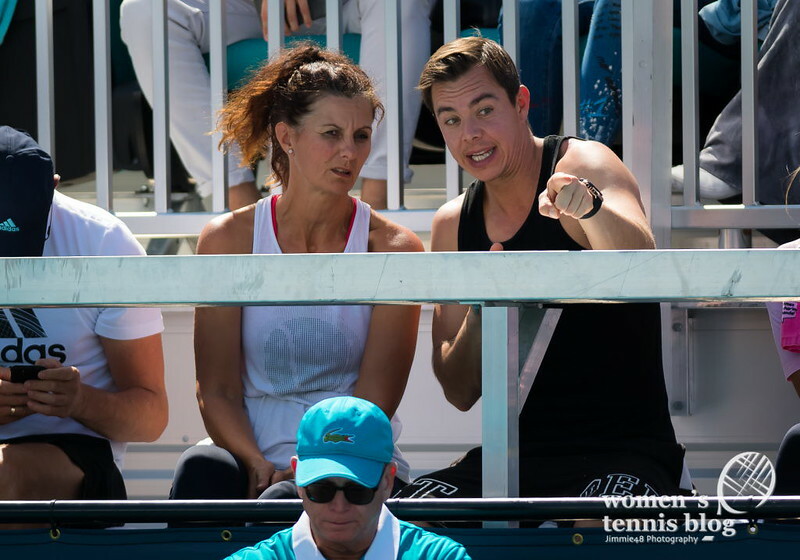 Jim, you know that Mladenovic and Thiem are dating, so no surprise there.